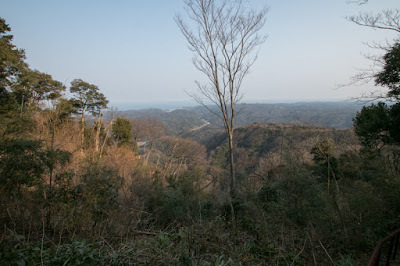 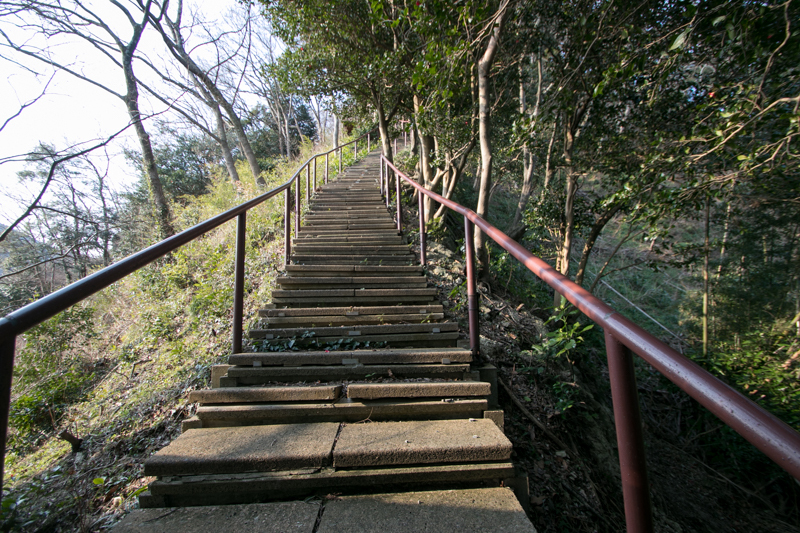 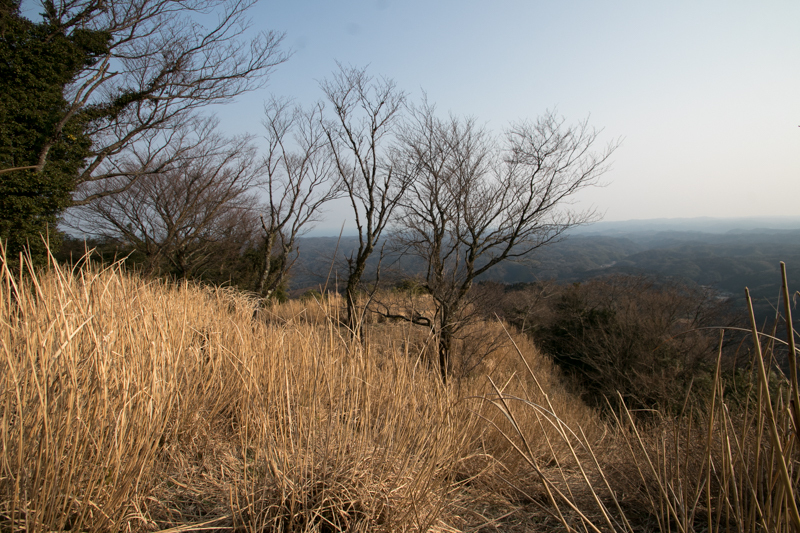 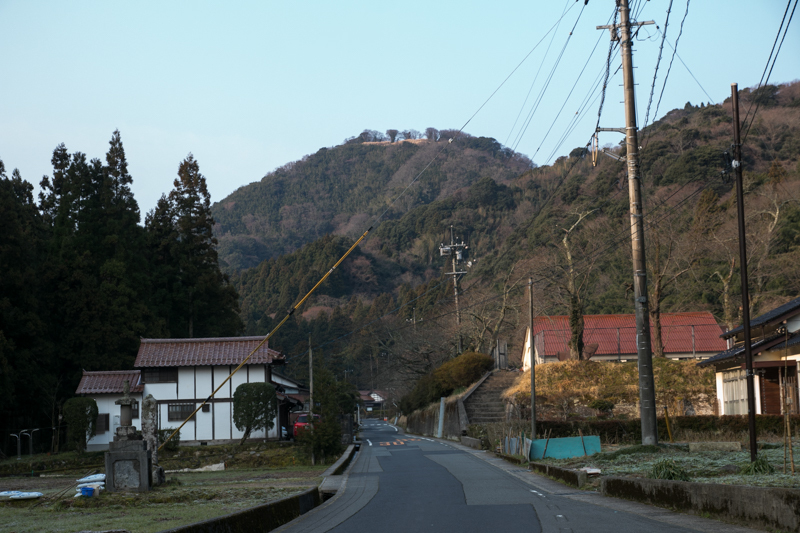 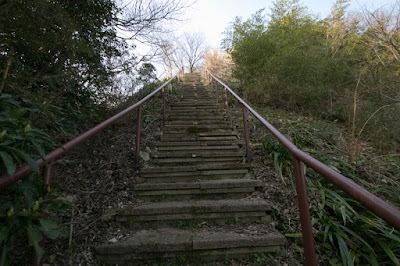 Yamabuki castle (山吹城) is located at the top of Yougaiyama mountain, one of about 200 meter height from hillside at the tip of the valley formed by Ginzan-gawa river. 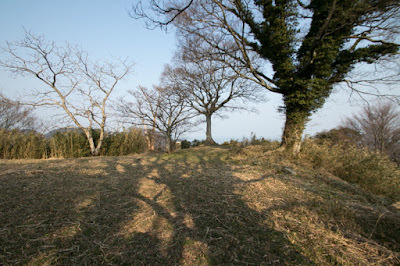 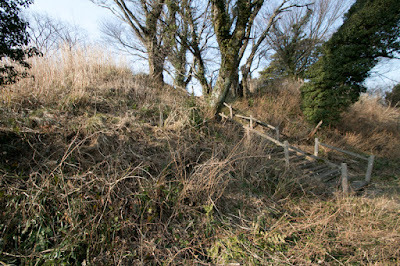 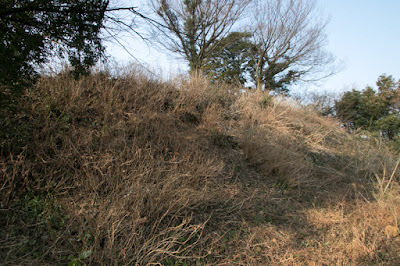 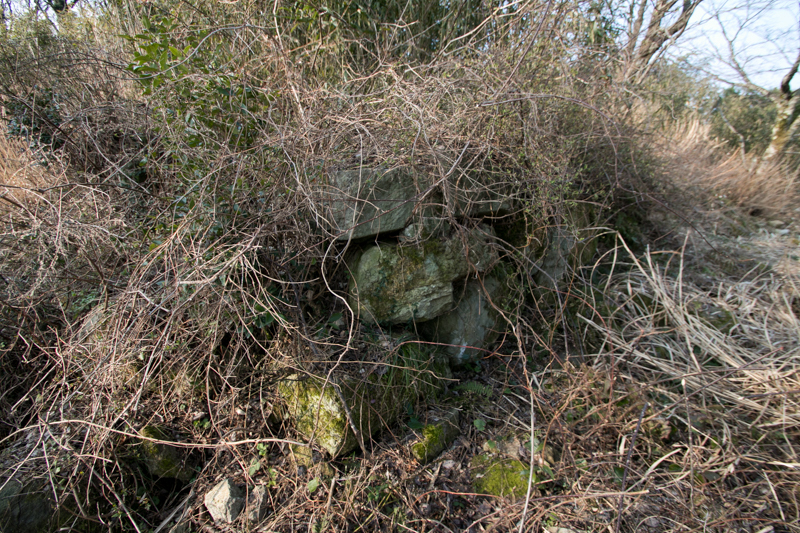 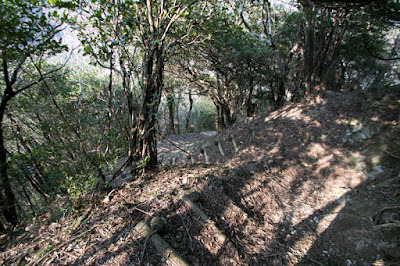 Castle site is inside the fence of mine area, and on the opposite of Sennnoyama mountain, the main body of Iwami Ginzan (Iwami silver mine, also called as Omori Ginzan). Yougaiyama mountain itself is a mineral mountain with ruins of numerous tunnels, and being sandwiched by two rivers its shape with sheer cliffs was an appropriate place to build a castle. 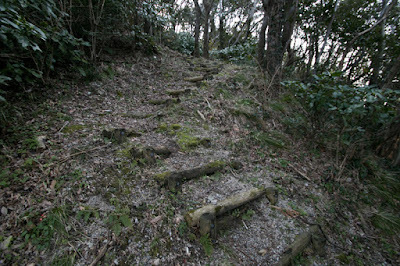 Precise year is unknown but Yamabuki castle might be built to protect Iwami silver mine, soon after the development of Iwami Ginzan in 1526. 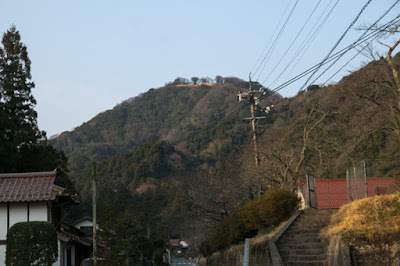 It is said that at that year Jyutei Kamiya who was a merchant at Hakata city (current Fukuoka city) and sailed neighbor sea saw glitter of the metal on the mountain from ship, and decided to develop this place as a silver mine. 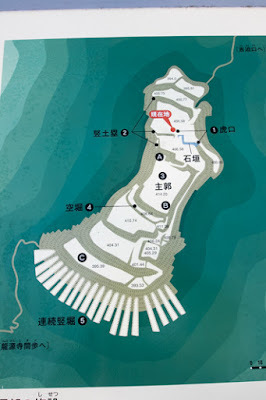 Just at that time Hakata port was a commercial port of Ouchi clan, a large warlord of Suo province and Nagato province (Yamaguchi prefecture) which expanded their power to the north part of Kyushu island. 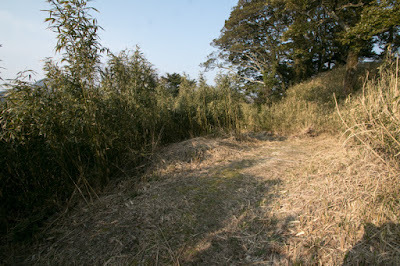 Ouchi clan engaged in the foreign trade with China and Korea then achieved earned enormous profit. At this trade Japan exported raw metals such as copper or sulfur, Japanese swords or lacquer wares, and imported silks, potteries and coins. 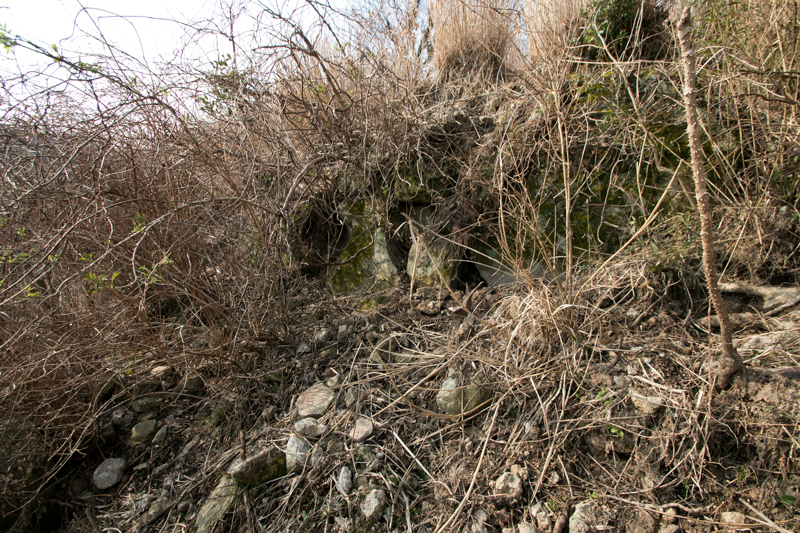 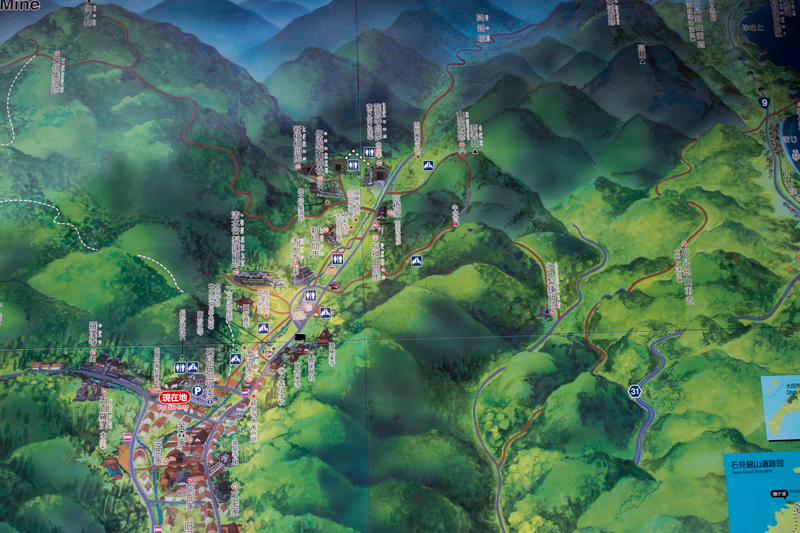 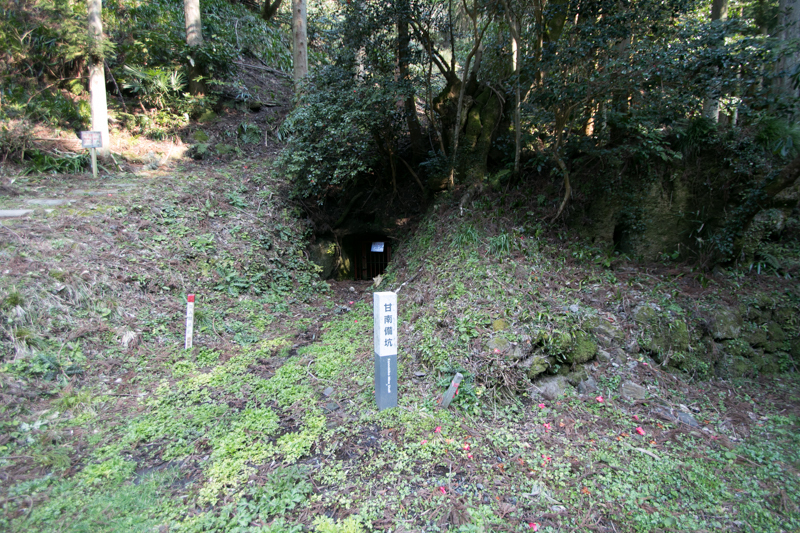 Looking at the discovery of silver mine, Ouchi clan supported it by bringing advanced technology, to earn the fund for the settlement of foreign trade. 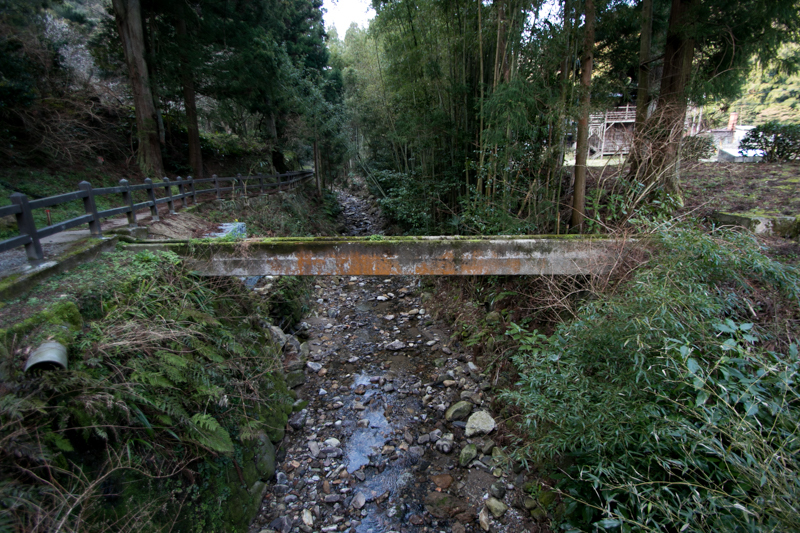 To refine the mineral, different from Amalgam method using mercury used in Western world, lead is used to unite melted silver in Japan. 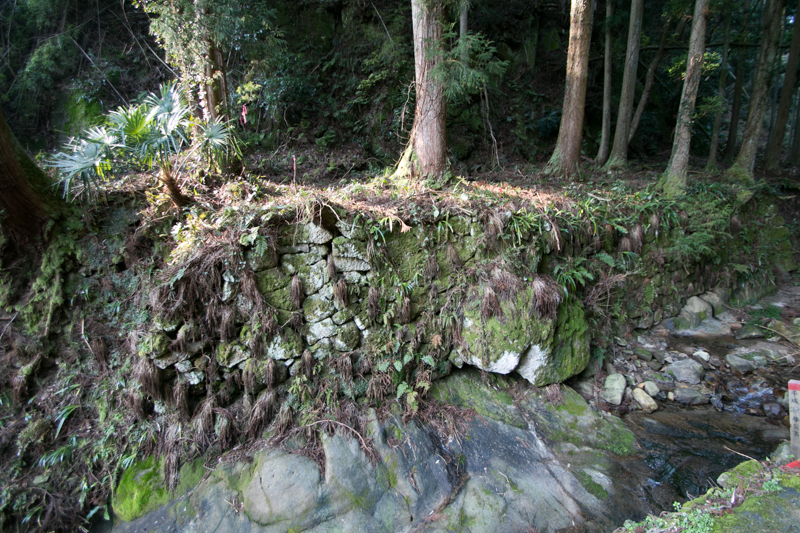 Later Amalgam method became popular especially for gold mine on and after 17th century. 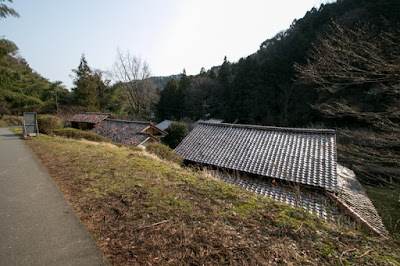 At the next step, to separate silver from mixture of silver and lead, Haibukiho method which use layer of ash to absorb melted oxidized lead, was brought to Japan for the first time. 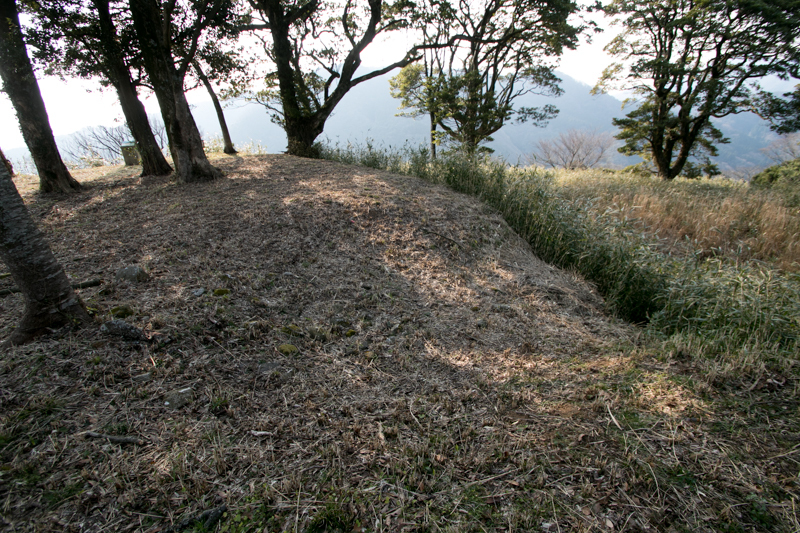 Using this method, it became possible to refine silver minerals into silver steadily and continuously. 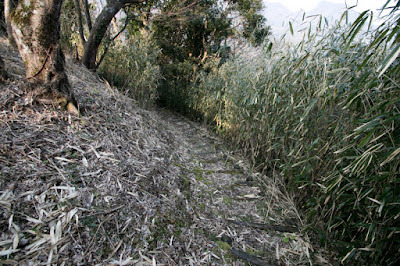 At that time Chinese Ming dynasty at its economic peak, and suffered from the shortage of the money. Immediately Japanese silver used at the payments of trade spread into China. Furthermore, information of huge production of silver was conveyed to European countries which also made trade at the south coast of China. In medieval era, the value of silver is far higher than gold, as silver needed difficult refining and wider purpose. At first western merchants indirectly achieved Japanese silver in trade with Chinese merchant, but later tried to gain directly from Japan. Under such circumstance, in 1541 Portuguese merchants who might try to visit Japan but were drifted to Tanegashima island brought matchlock guns for the first time, and after that many foreigners such as merchants and missionaries started to visit Japan. Silver of Iwami Ginzan strongly affected the contact of Japan and Western world. At this point Japan became the major supplier of silver to the world, and Iwami Ginzan might be largest silver mine. In the ordinary course of things, Ouchi clan which already monopolized foreign trade and added silver mine as its source might be close the ruler of Japan. But at the east of Ouchi clan, just at the next of Iwami Ginzan, Amago clan which was the warlord of Izumo province (Shimane prefecture) at Gassan Toda castle, existed. 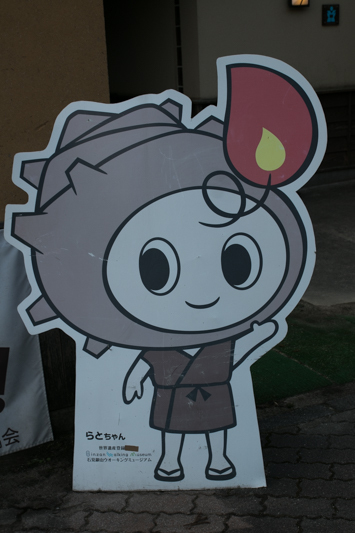 Amago clan rose from the small retainer to the strong governor by the talent of Tsunehisa Amago (1458-1541), and tried to further expand their power. 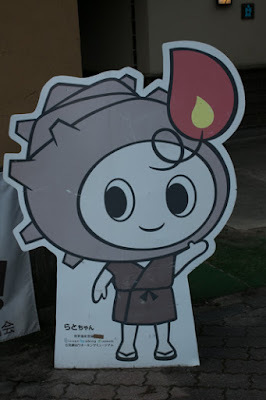 Both power already started fierce conflict at Sanyo region such as Aki province or Bingo province (Hiroshima prefecture). 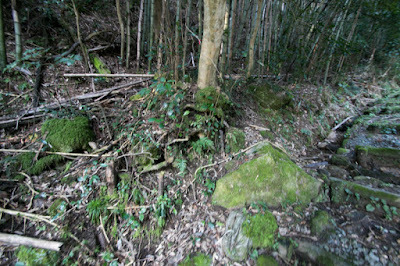 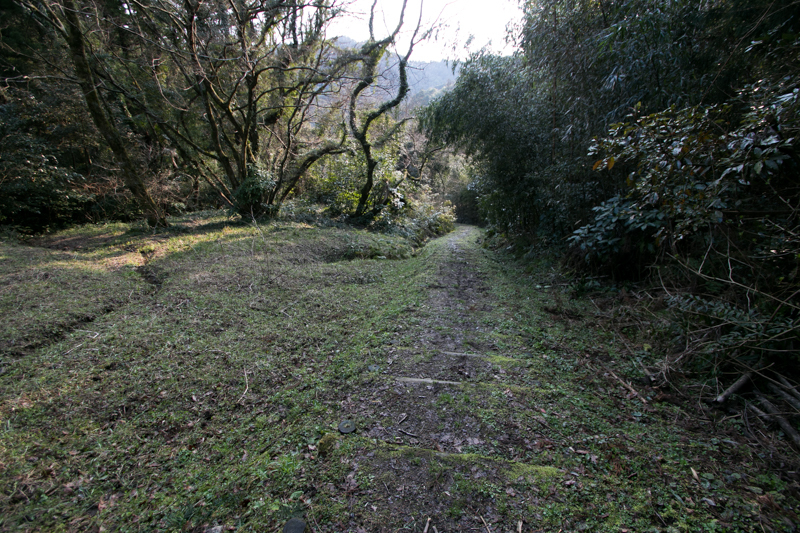 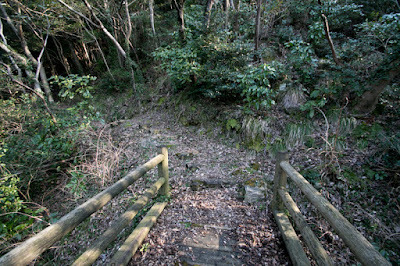 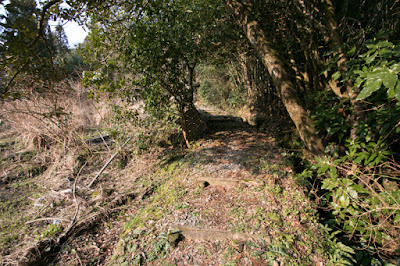 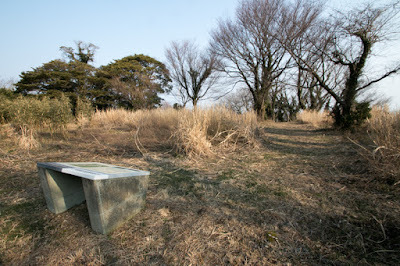 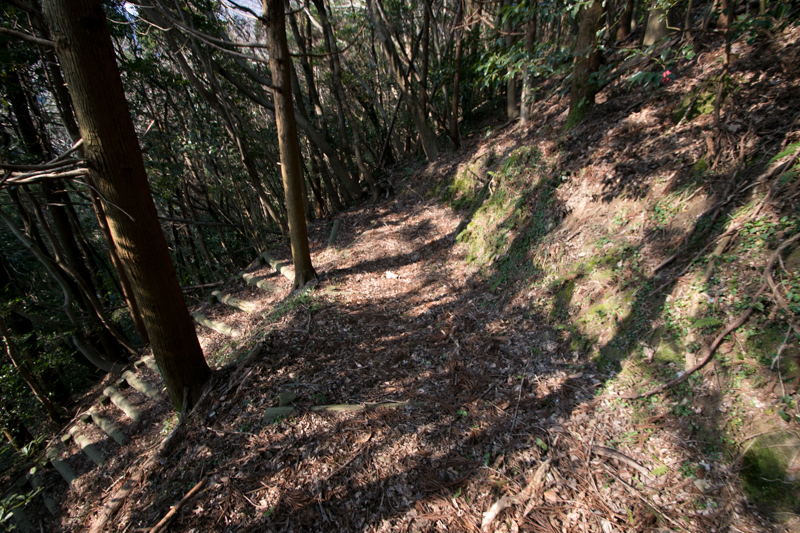 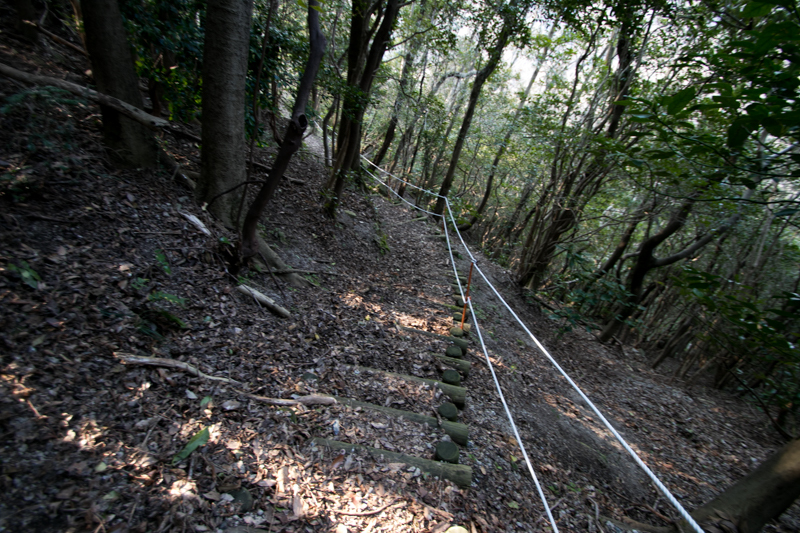 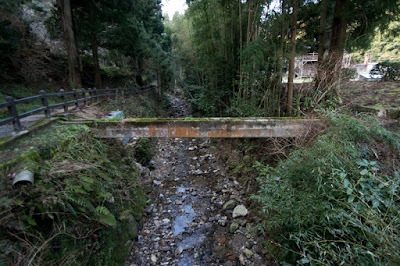 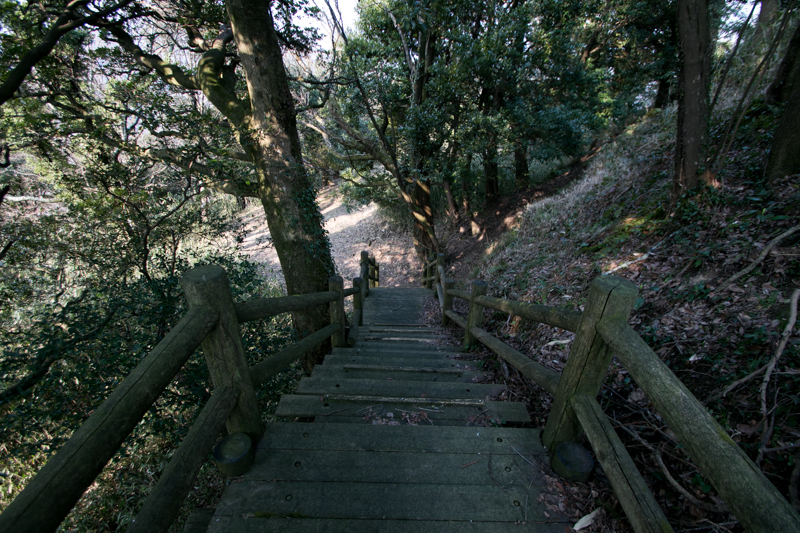 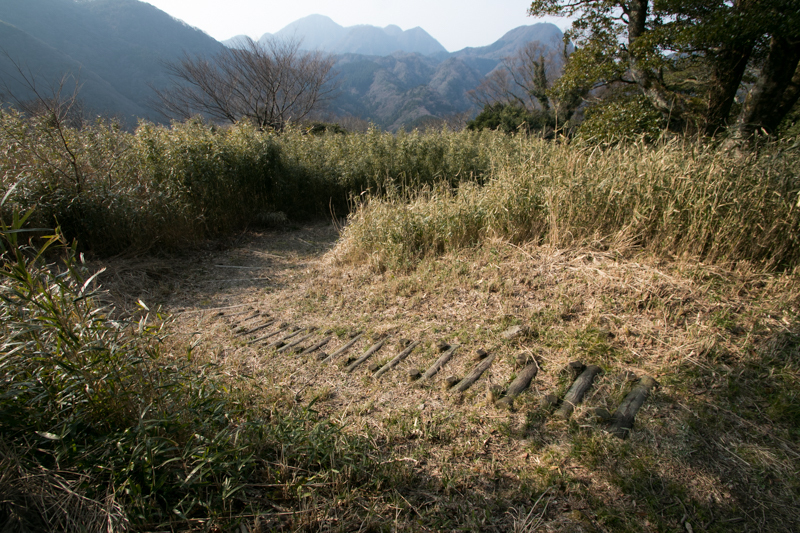 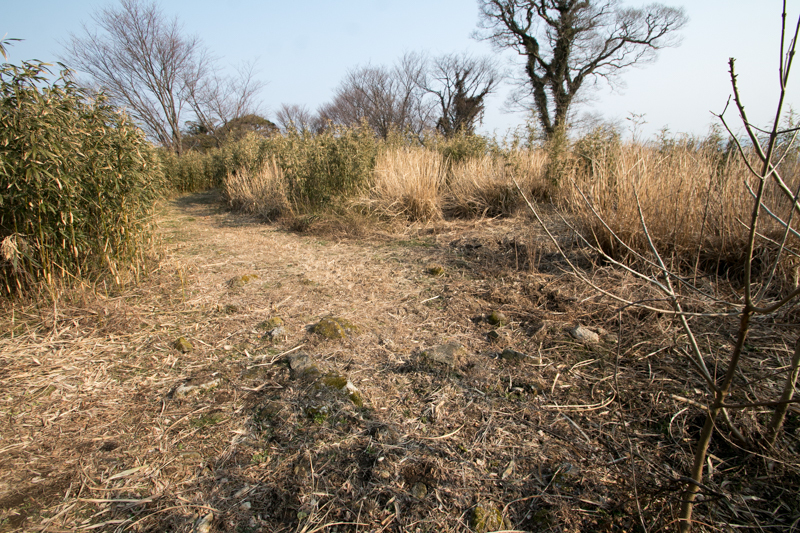 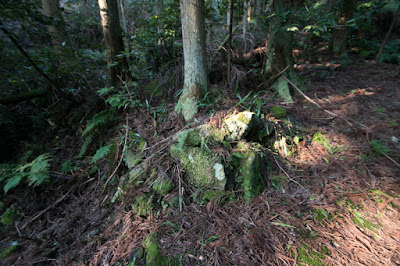 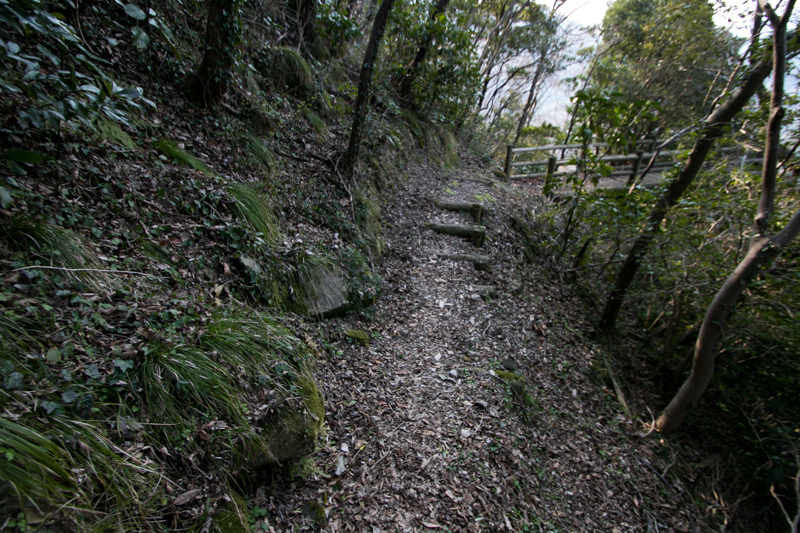 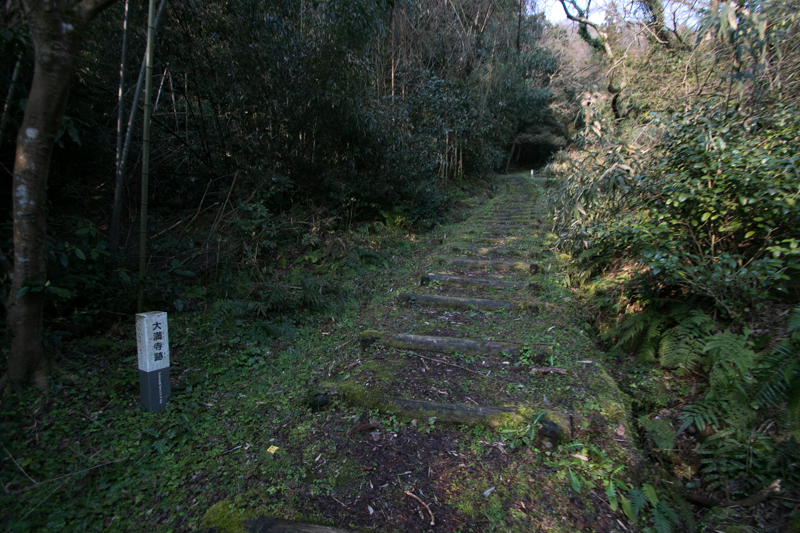 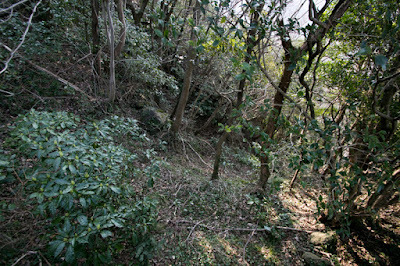 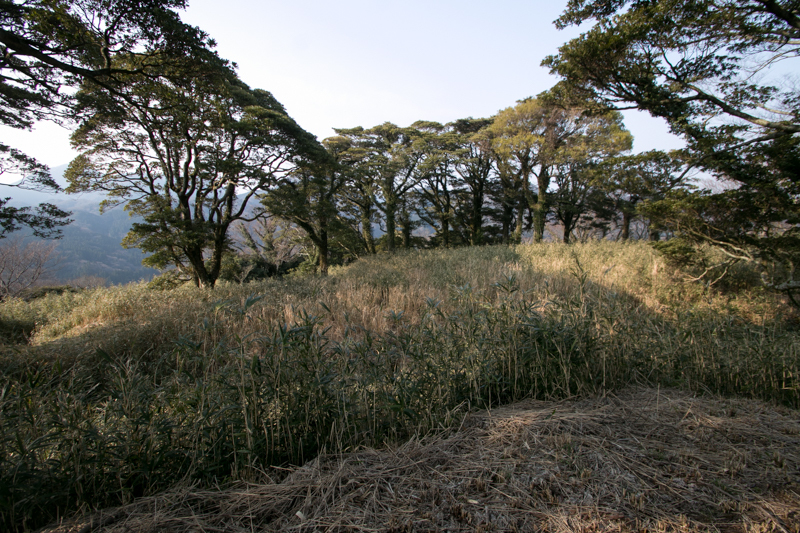 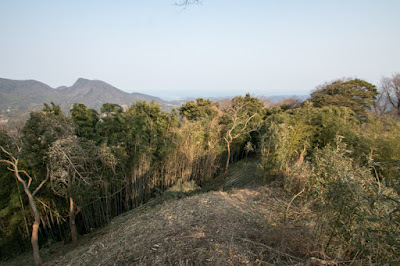 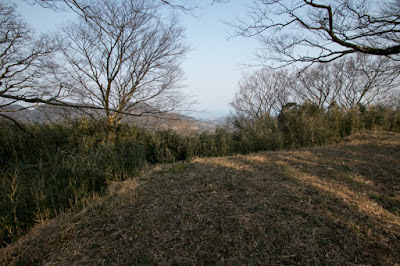 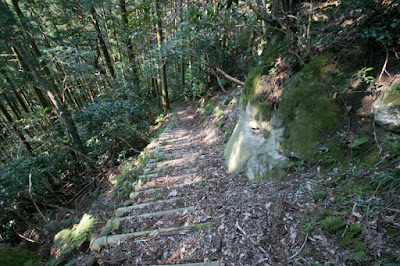 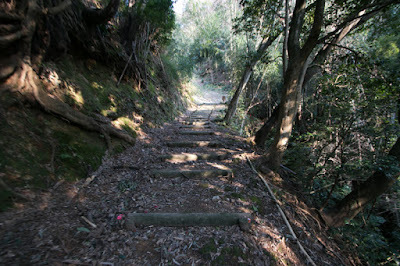 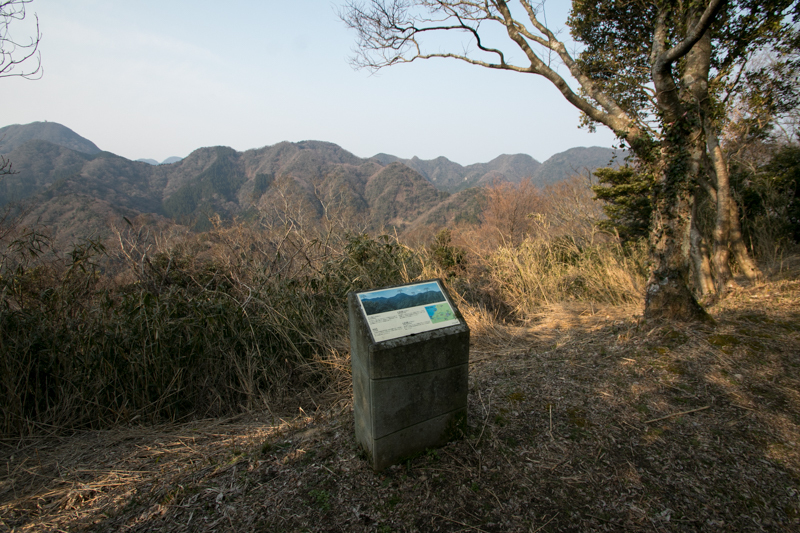 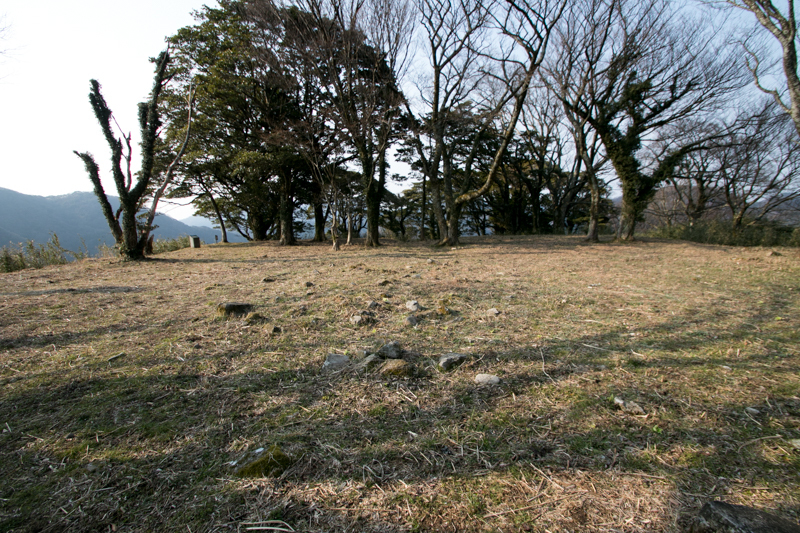 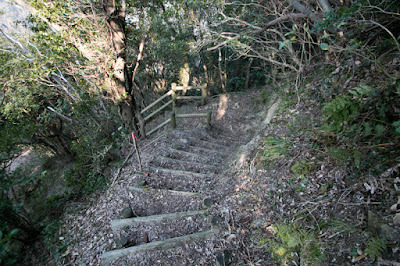 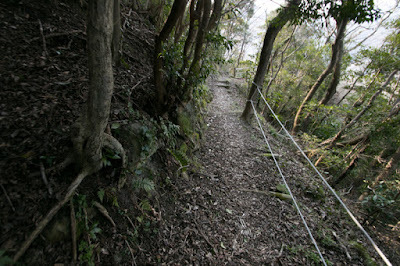 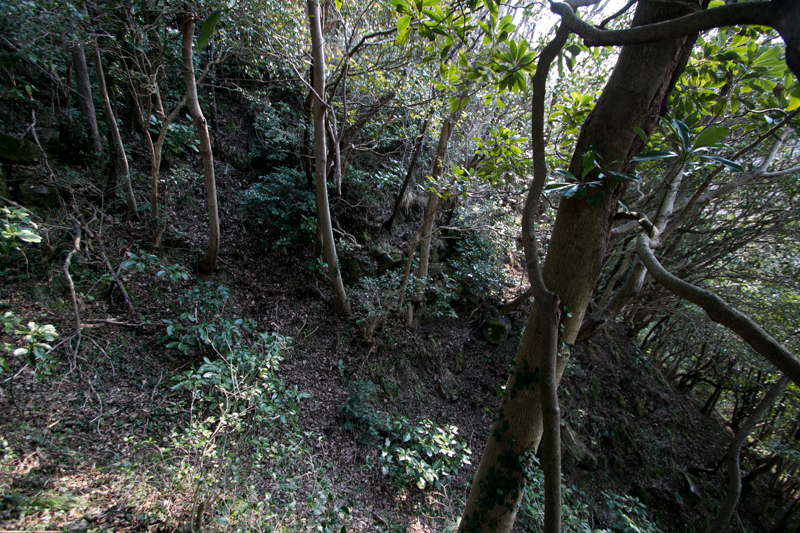 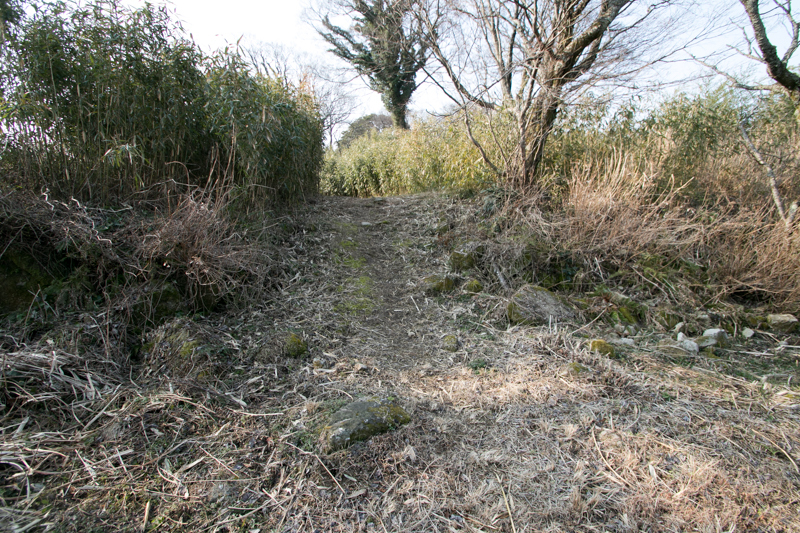 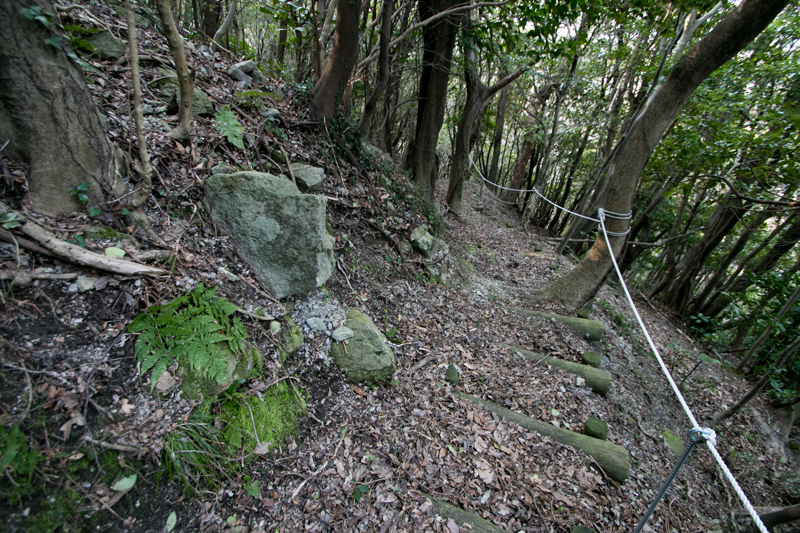 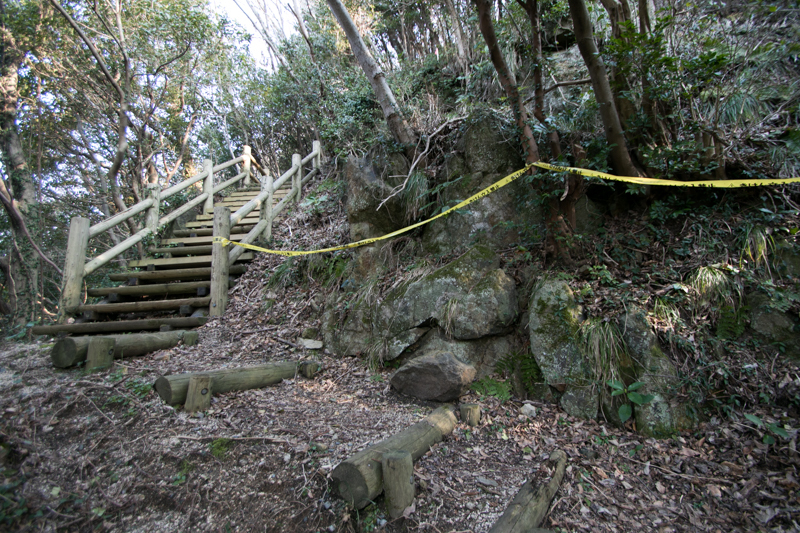 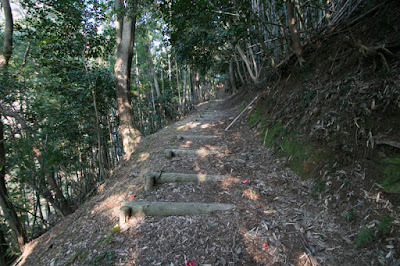 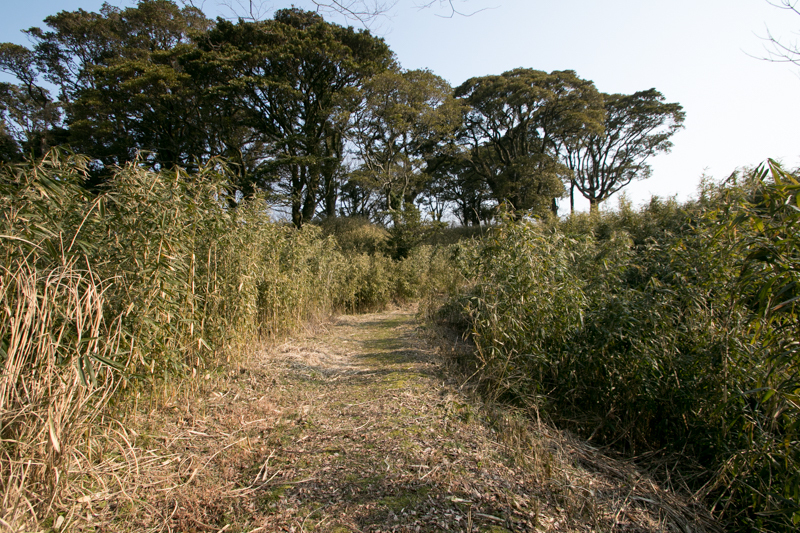 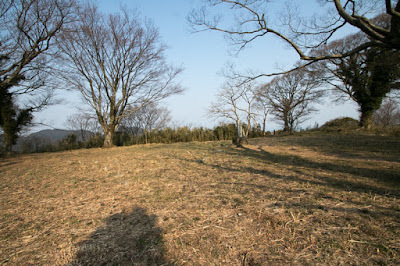 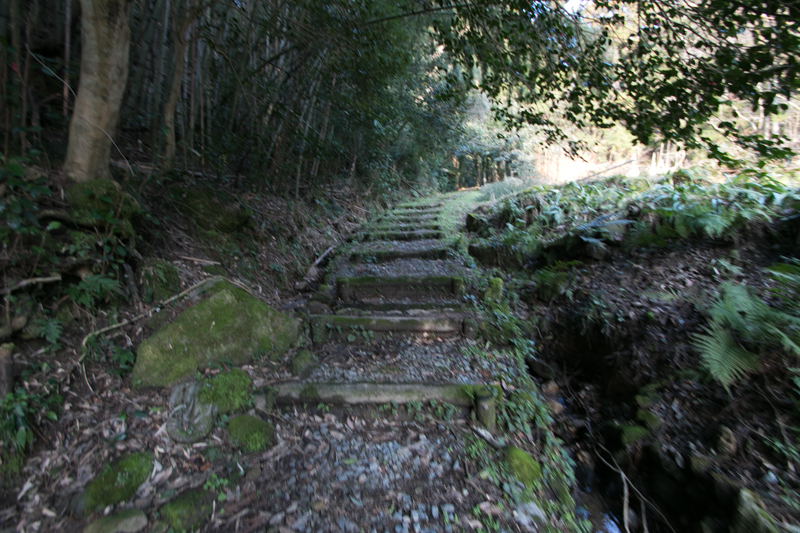 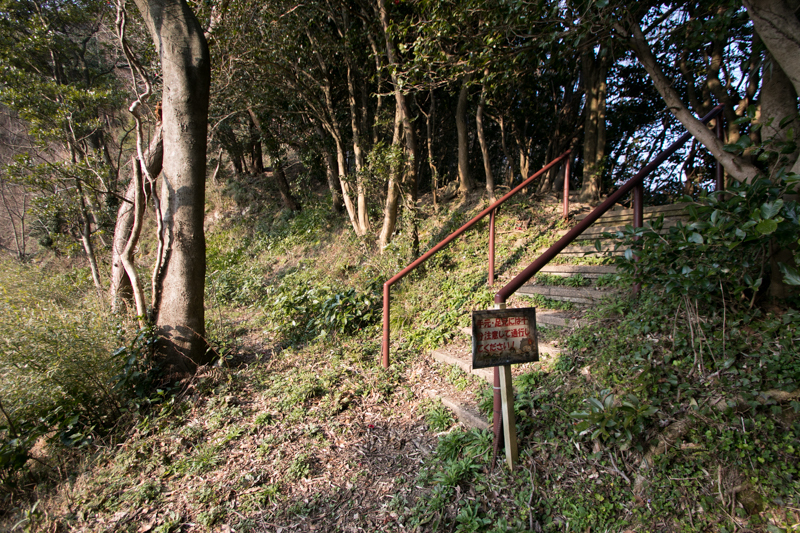 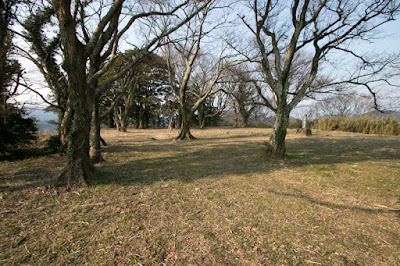 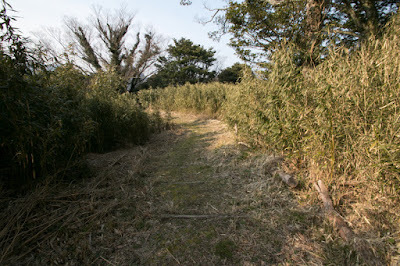 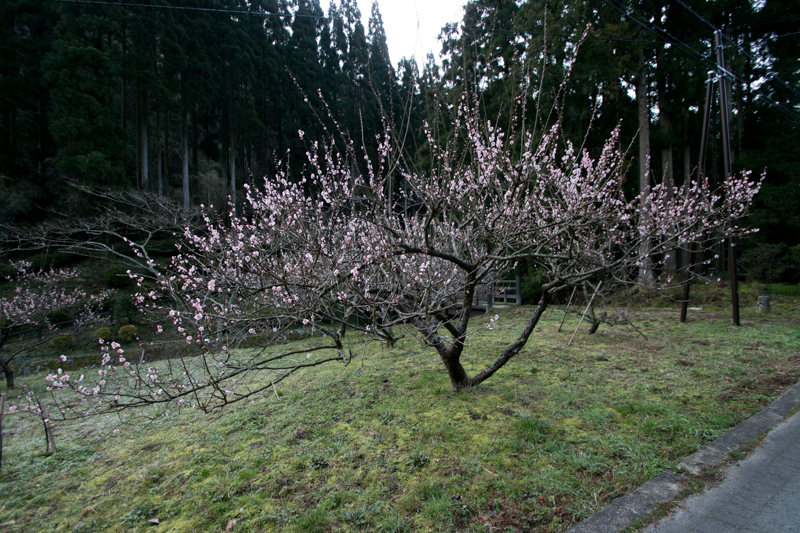 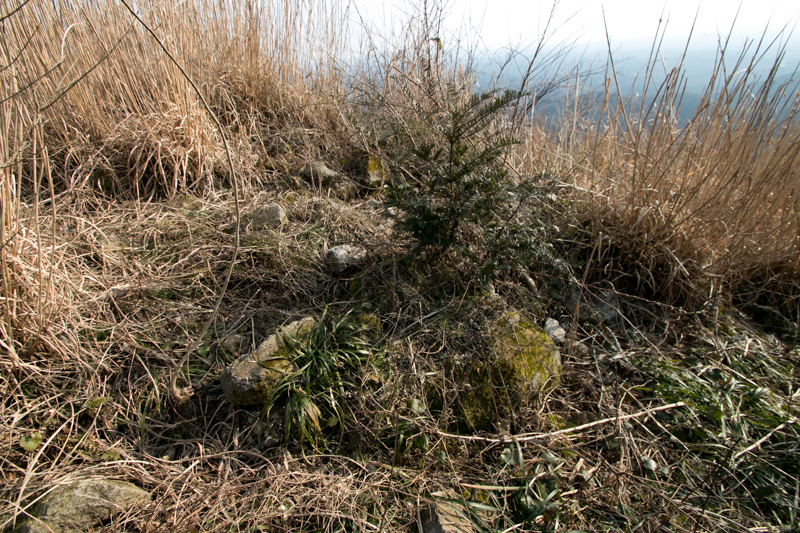 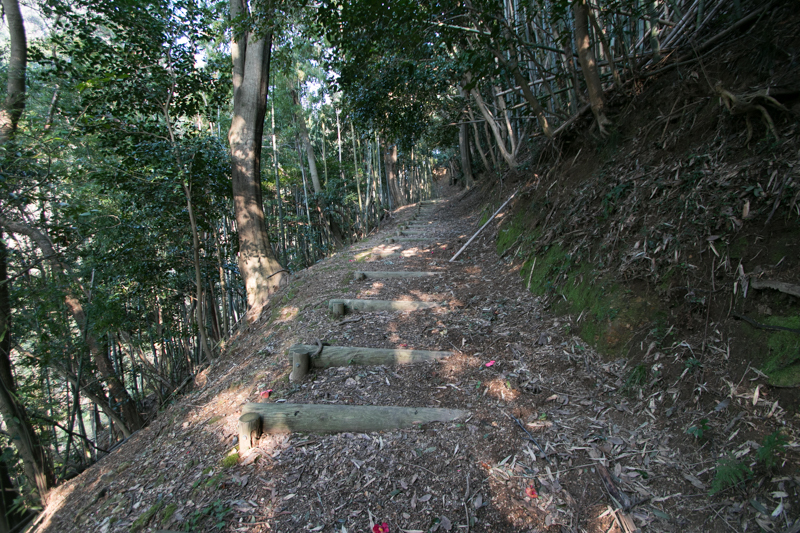 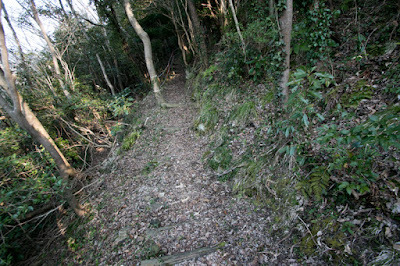 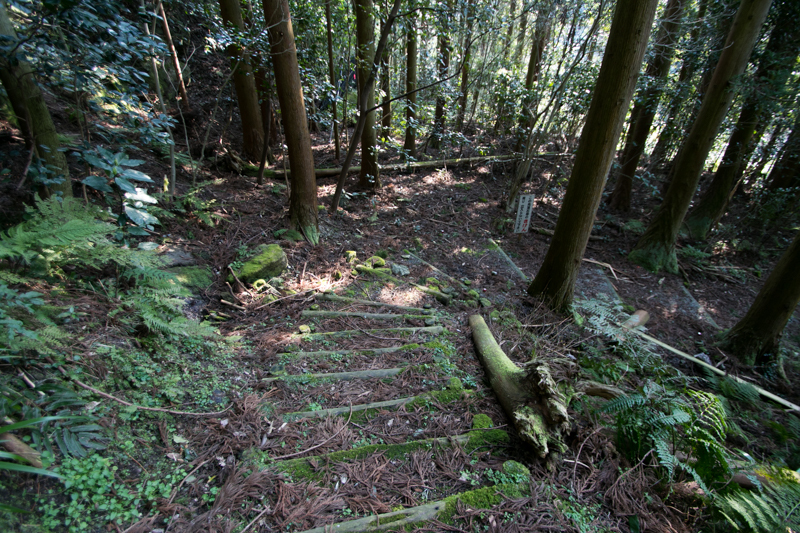 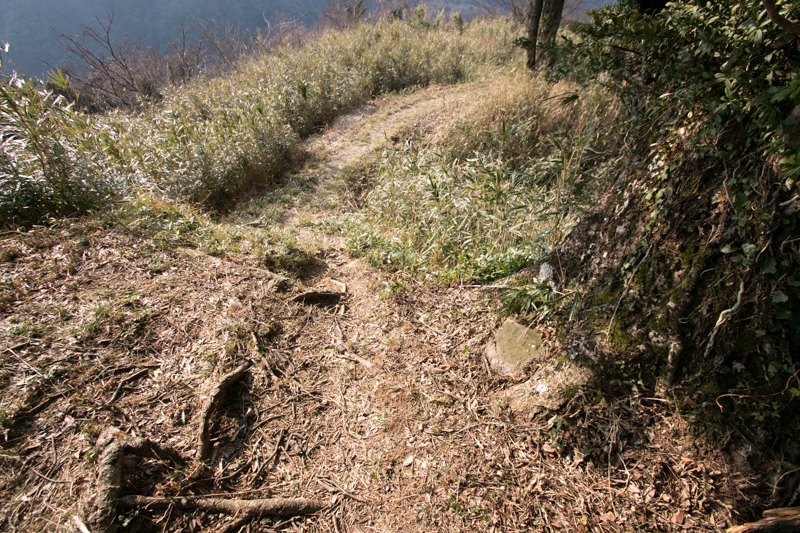 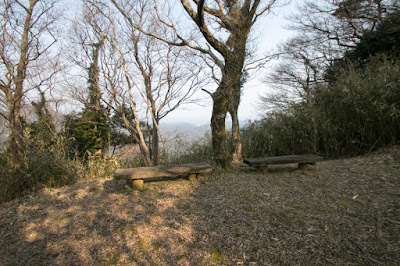 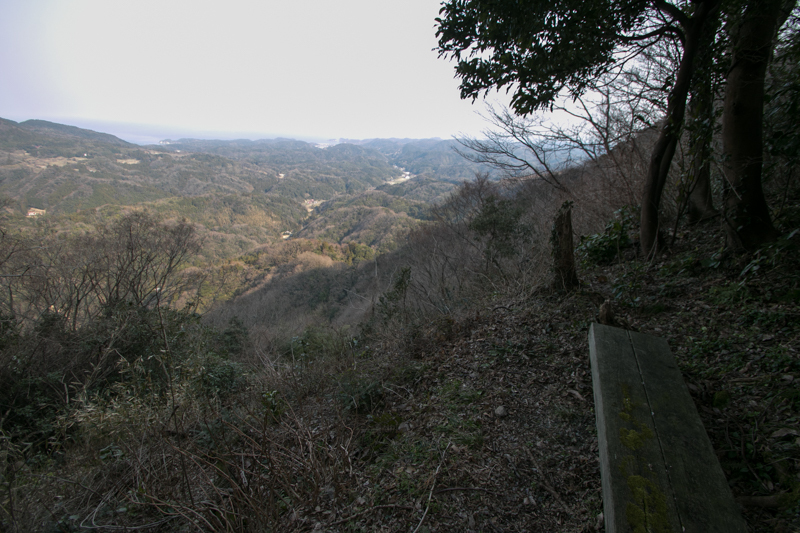 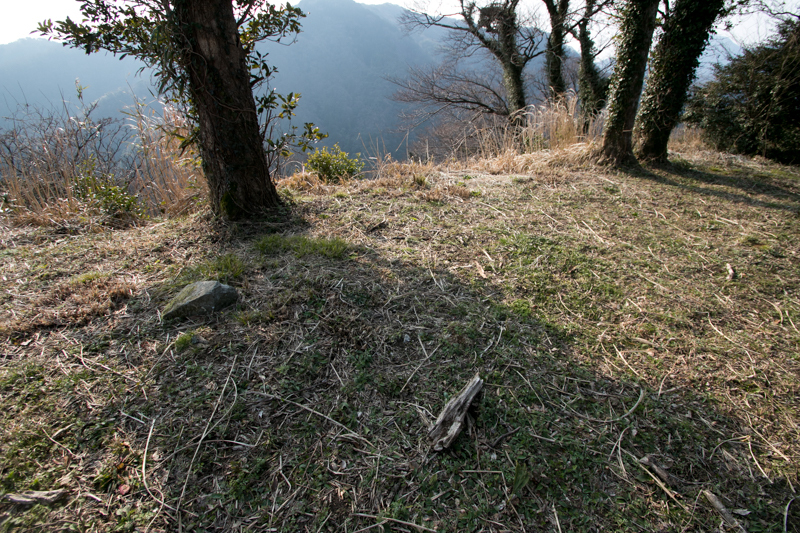 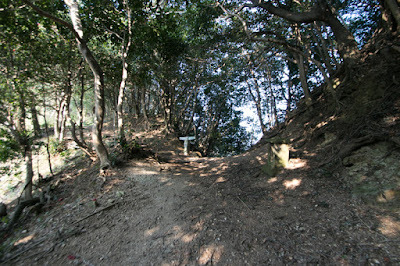 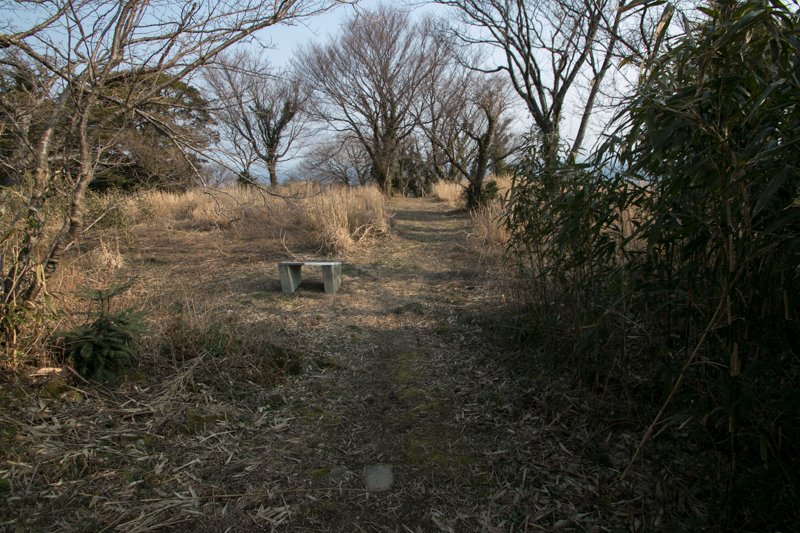 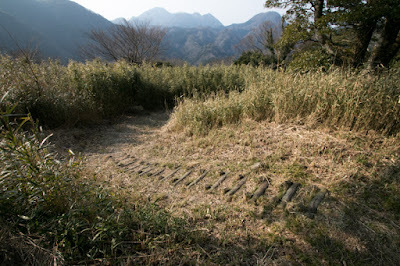 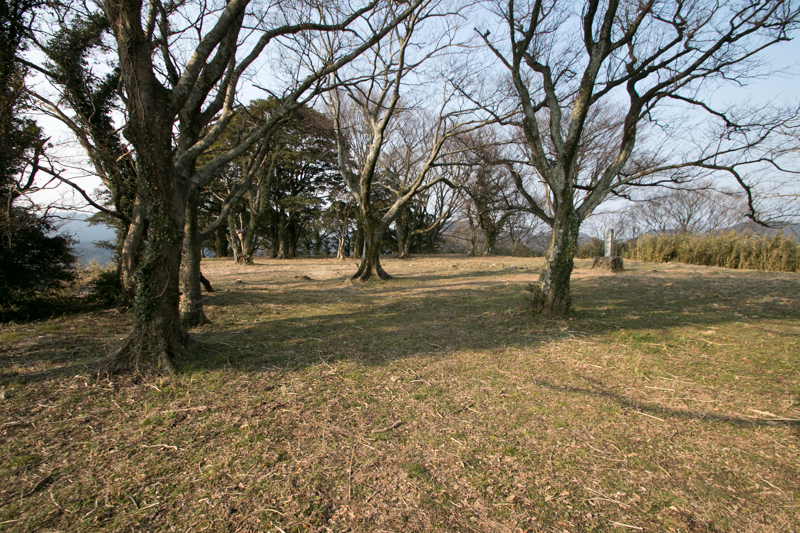 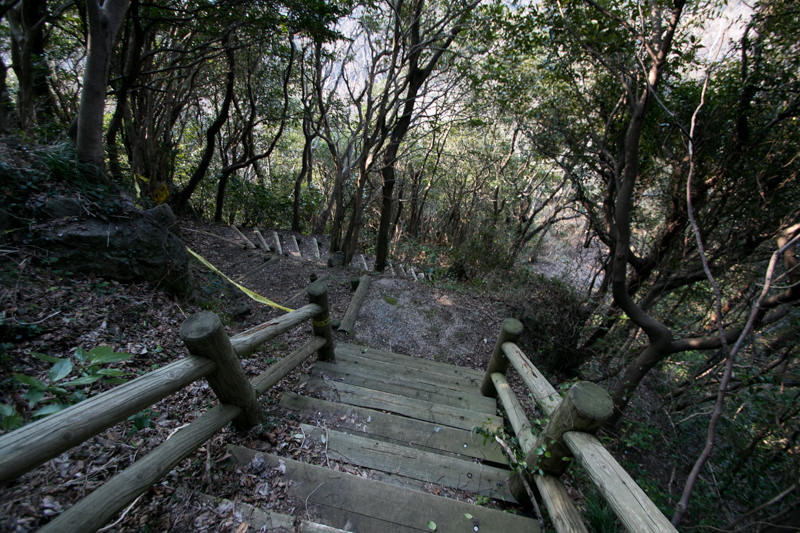 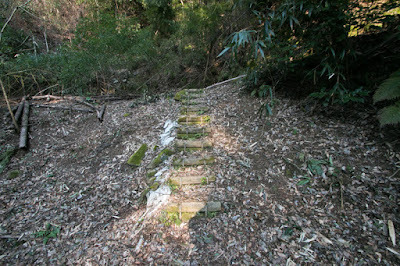 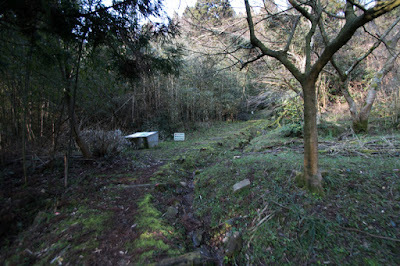 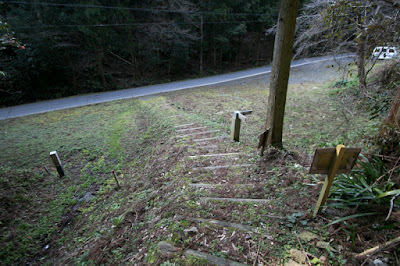 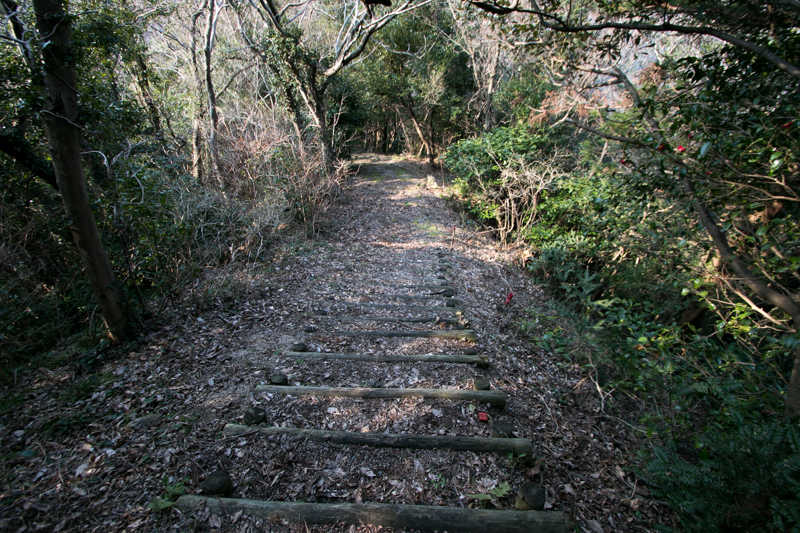 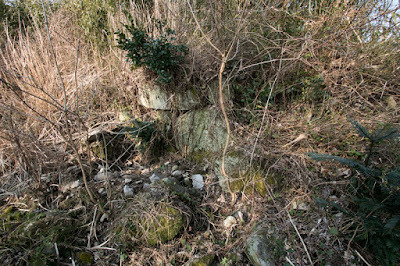 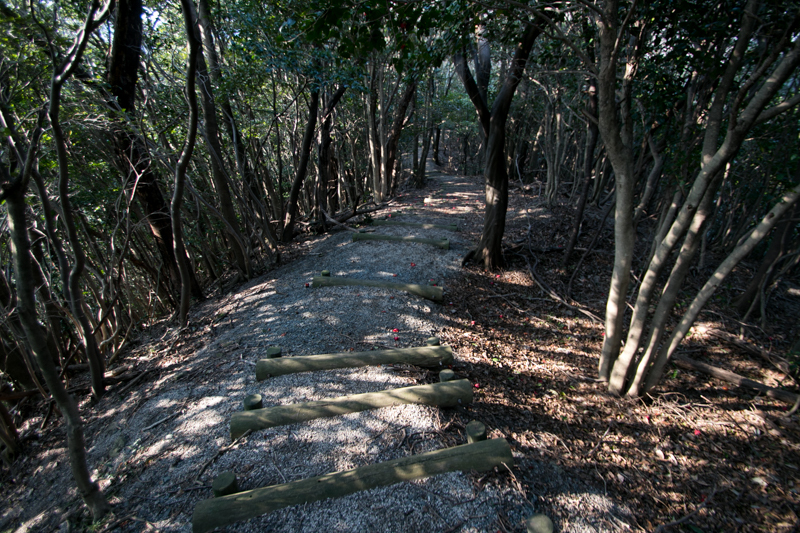 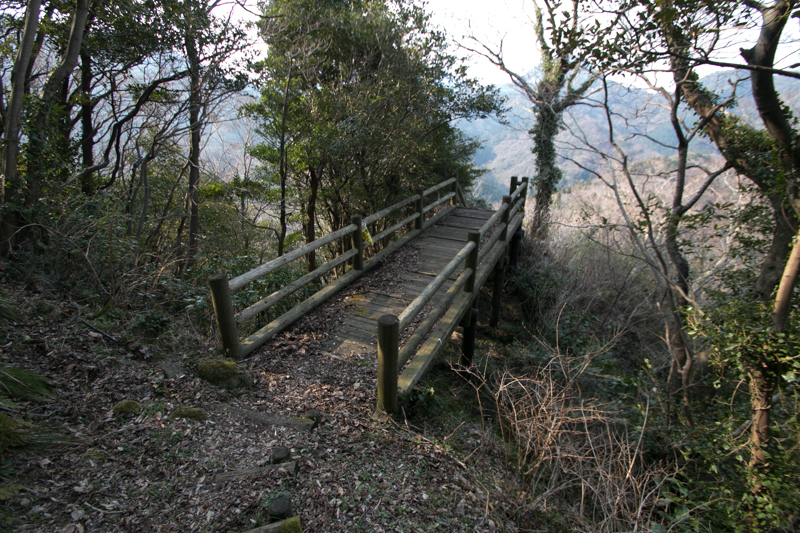 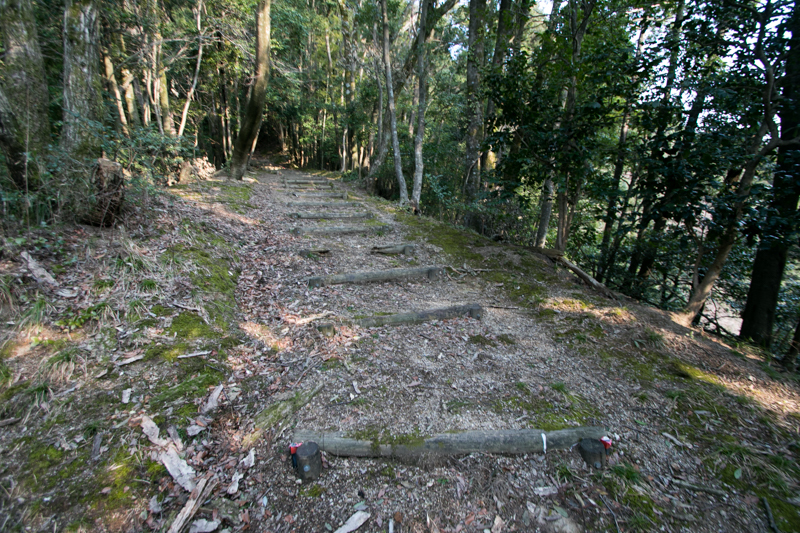 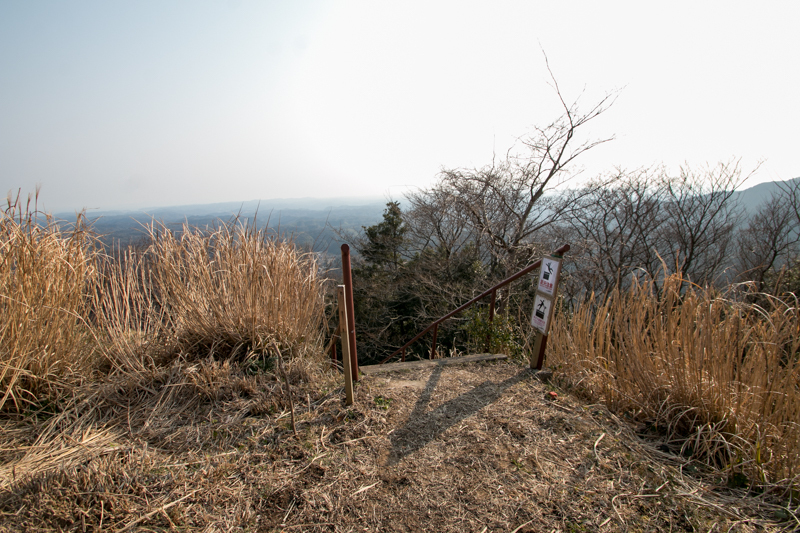 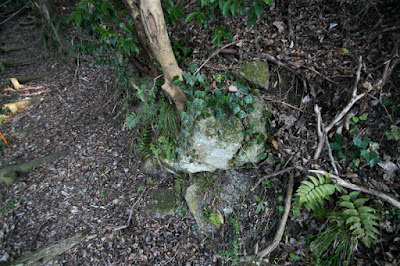 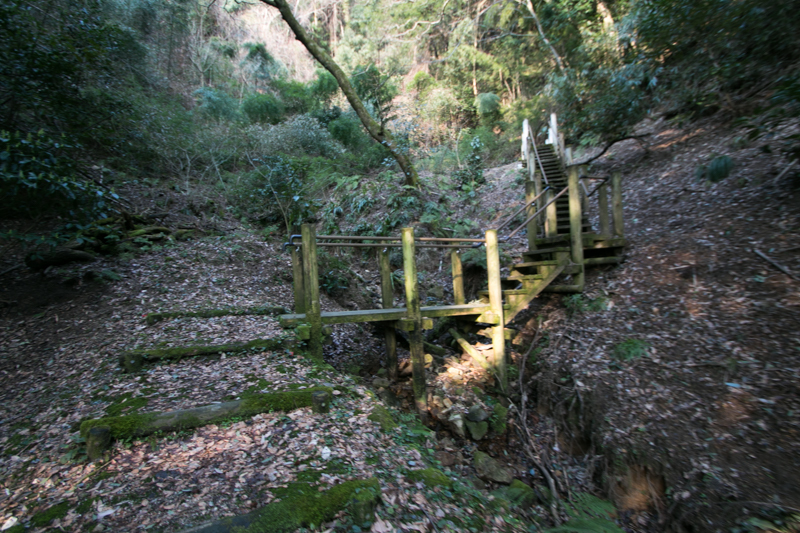 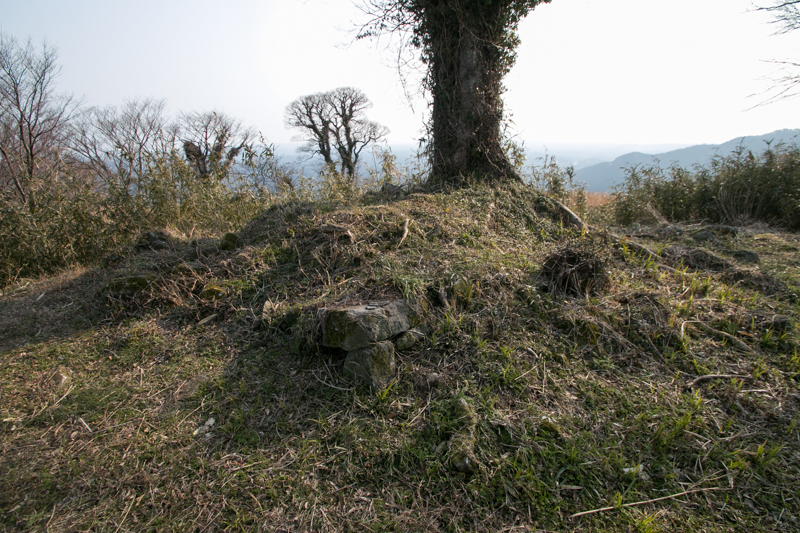 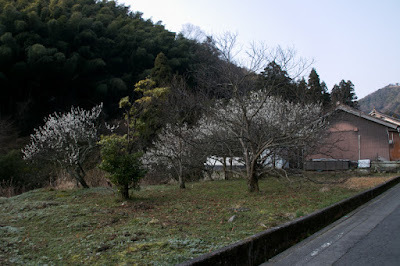 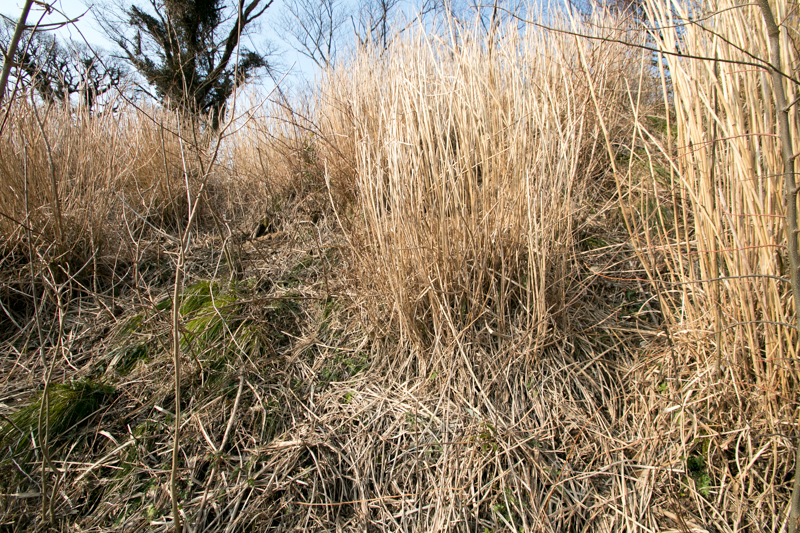 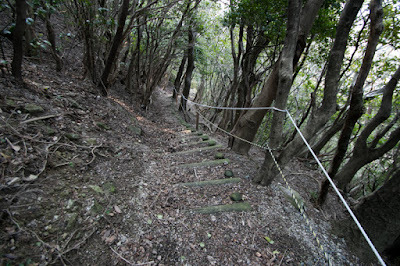 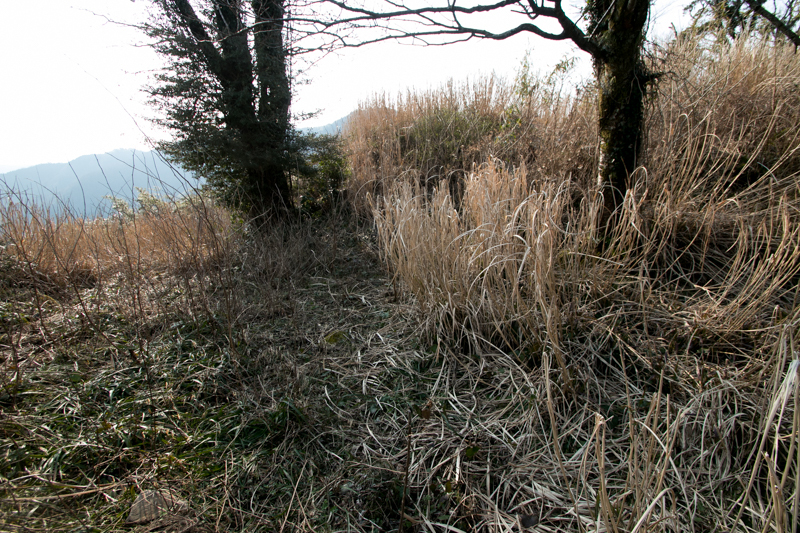 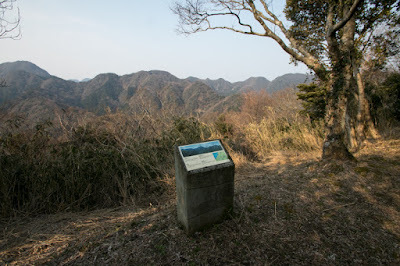 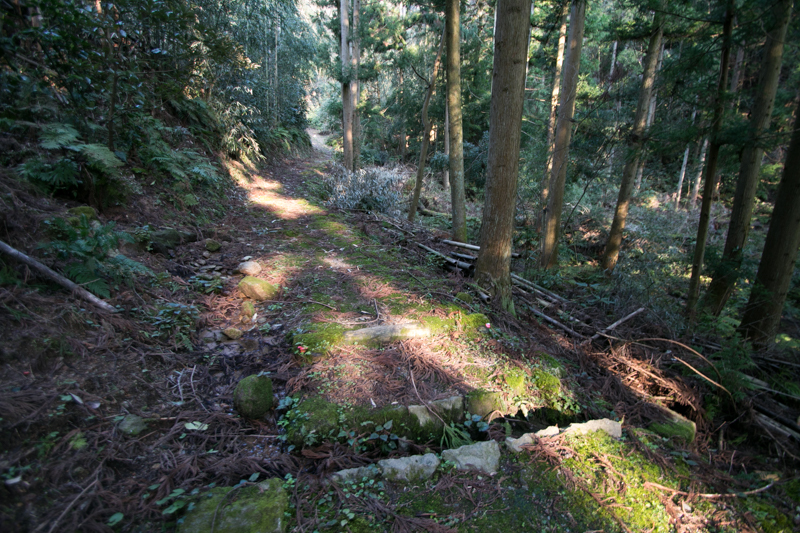 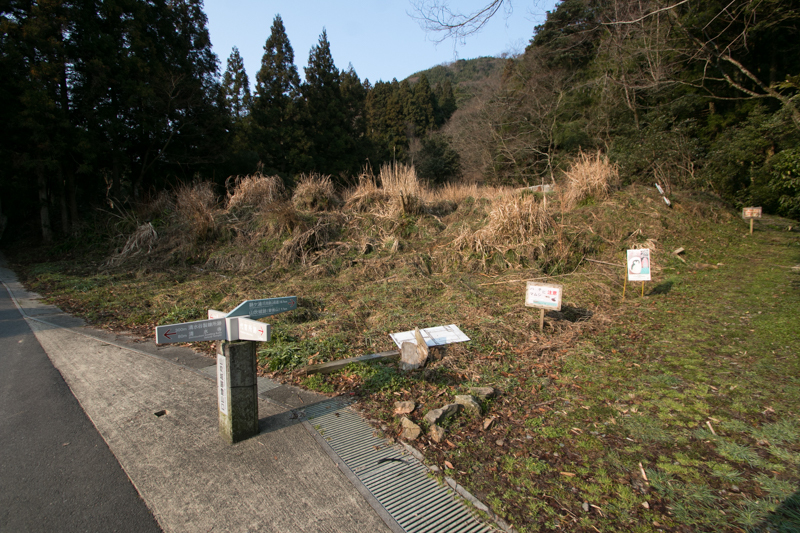 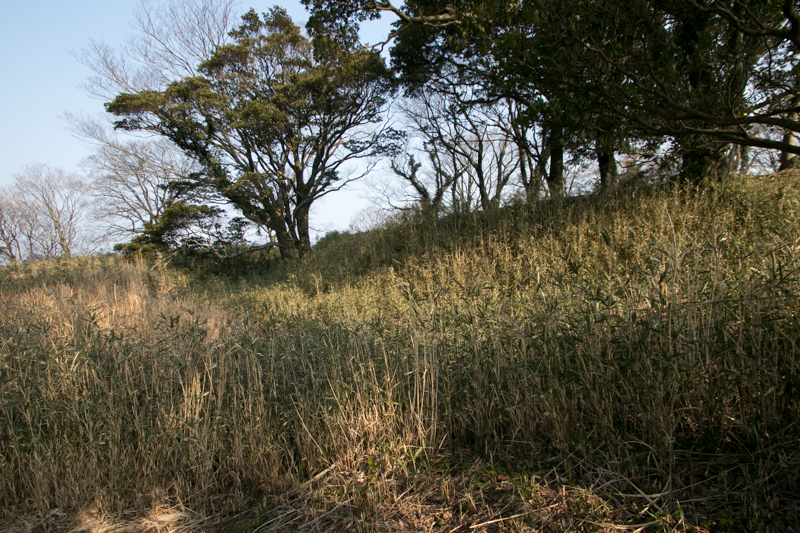 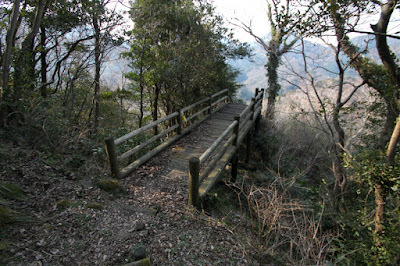 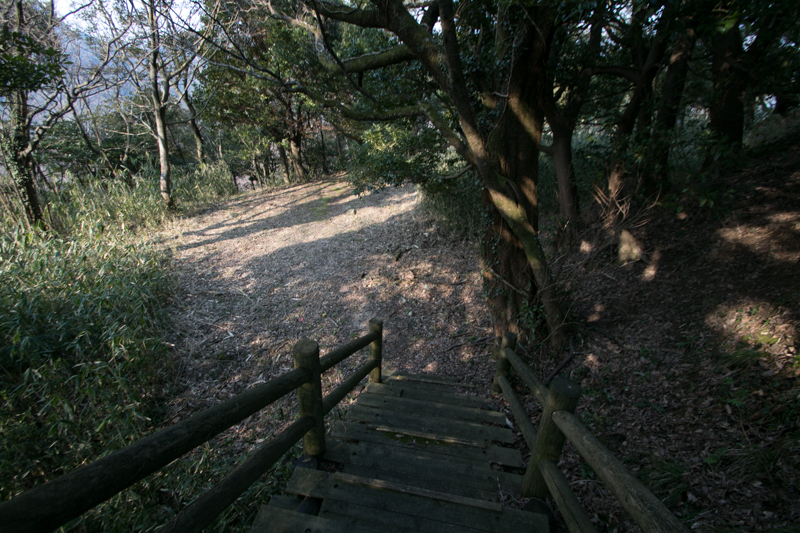 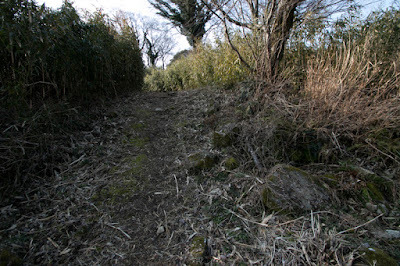 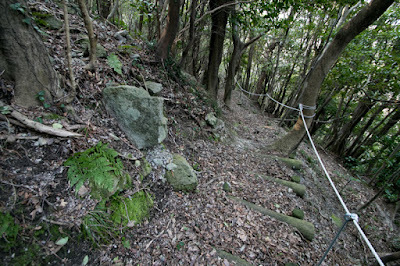 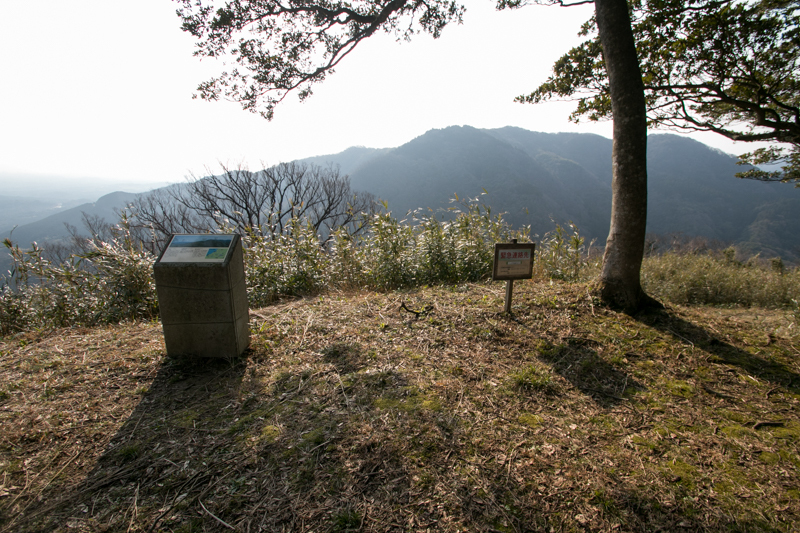 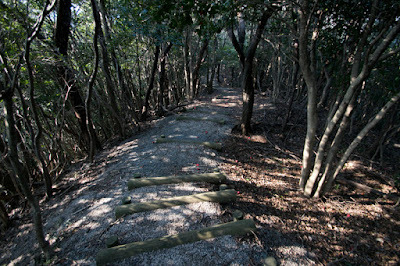 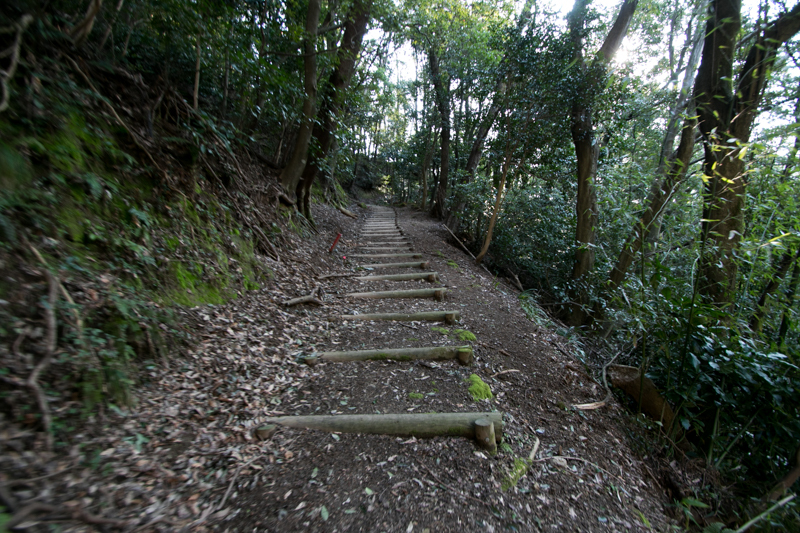 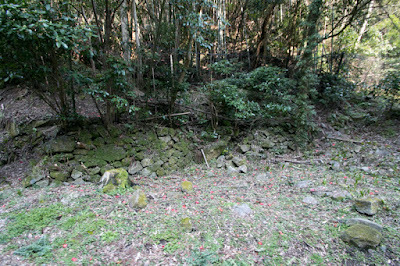 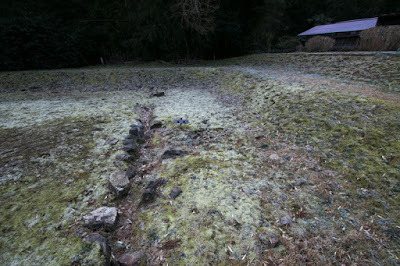 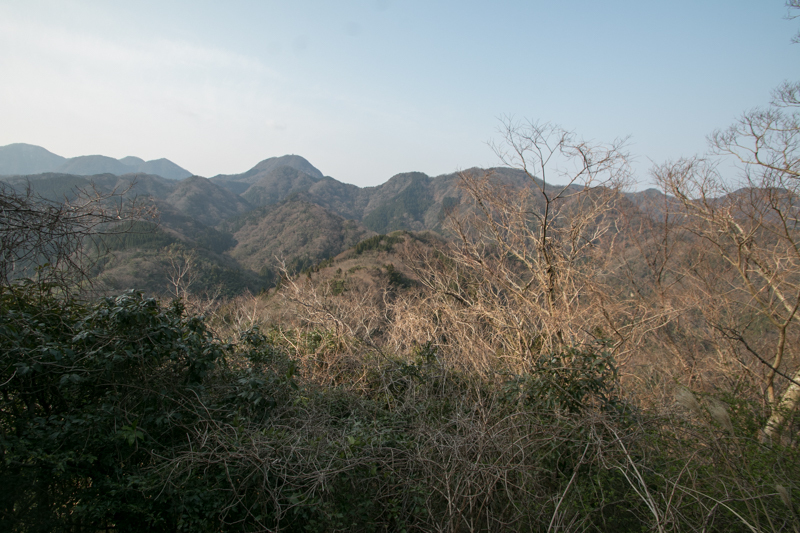 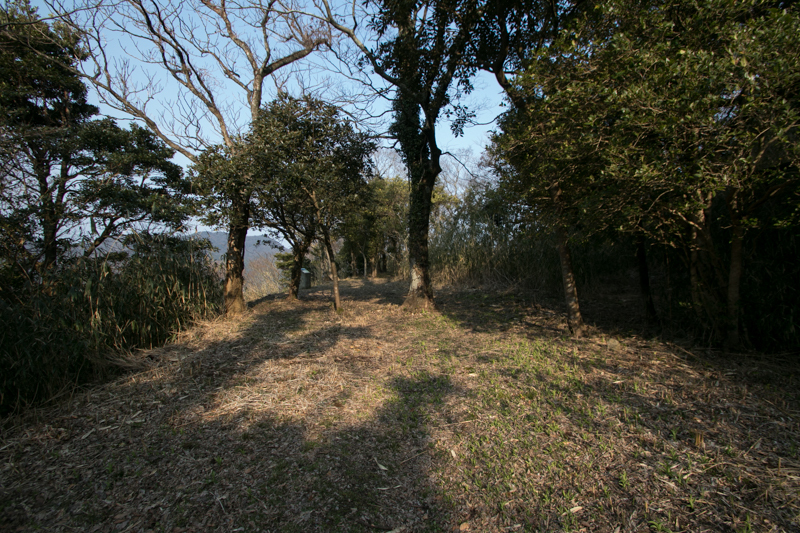 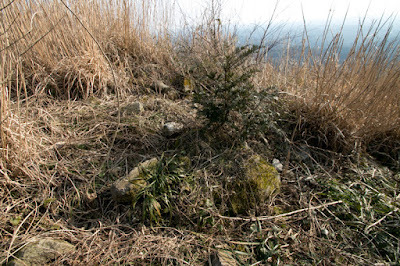 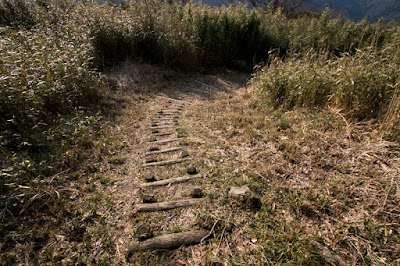 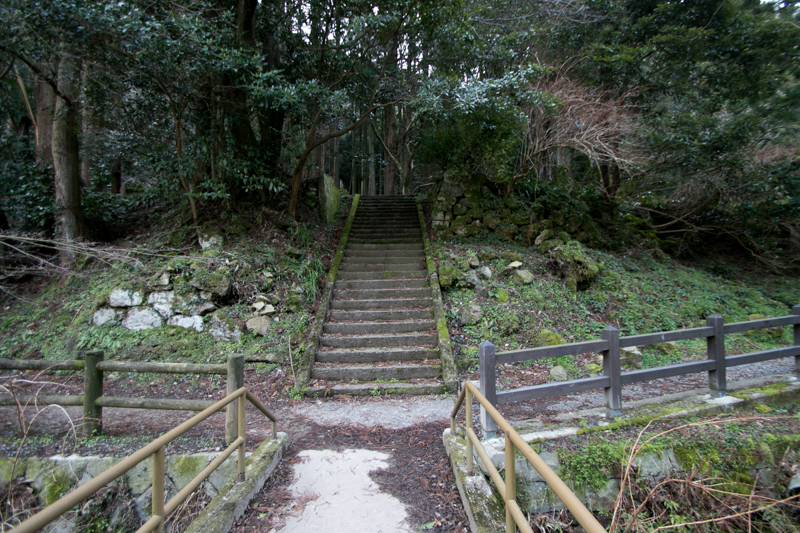 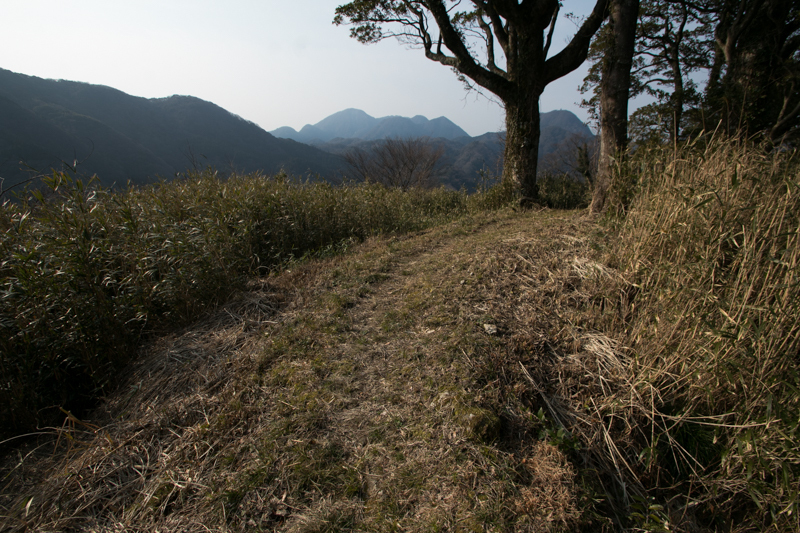 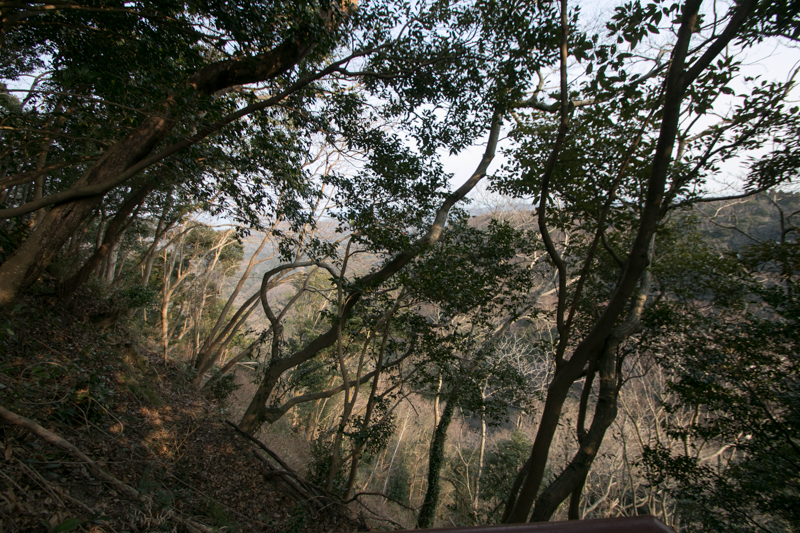 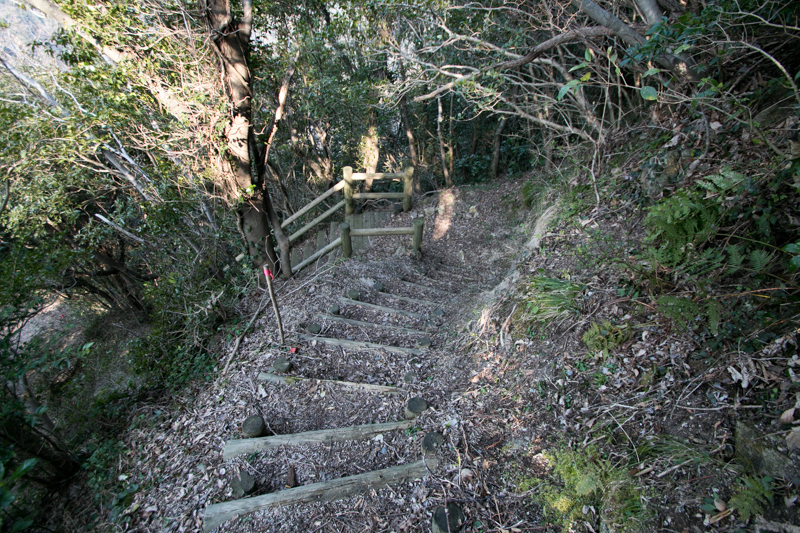 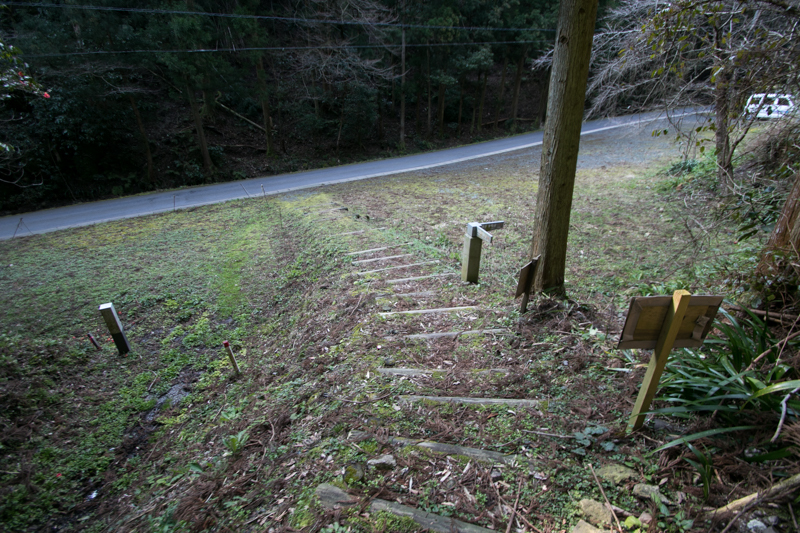 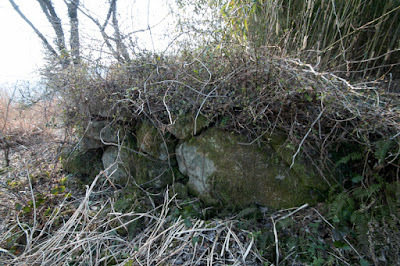 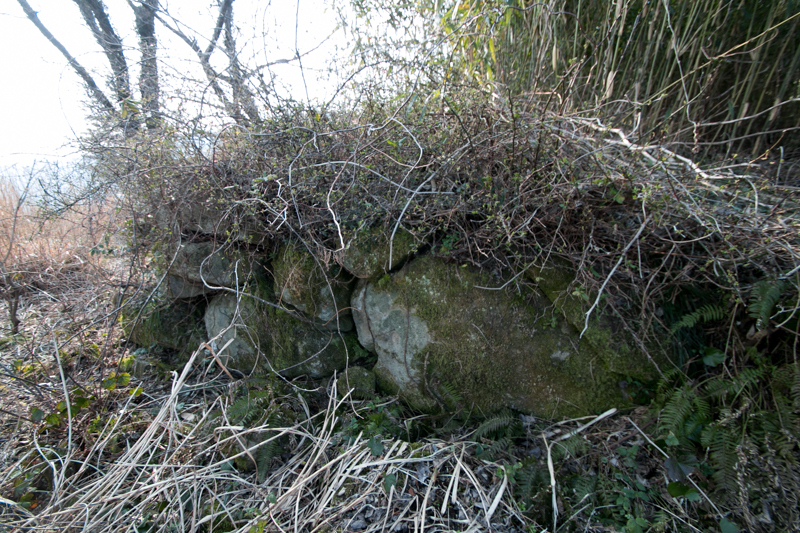 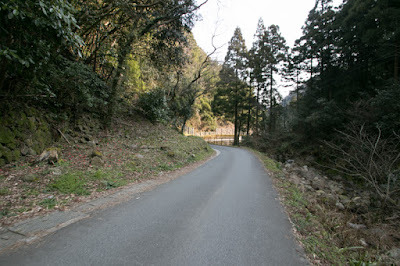 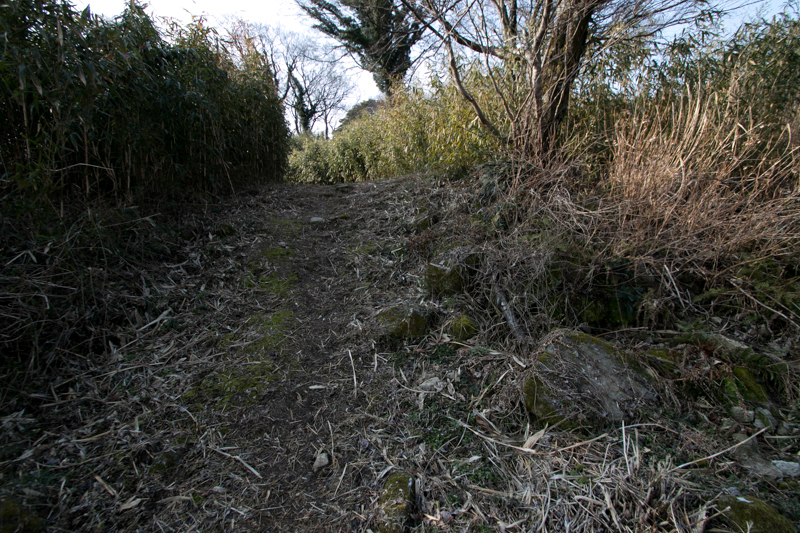 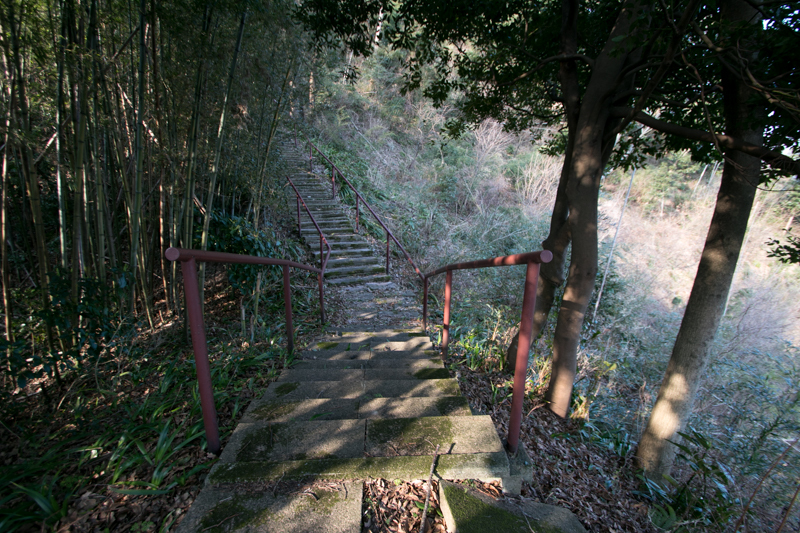 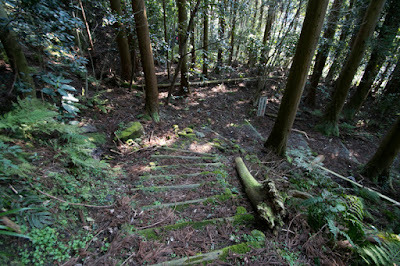 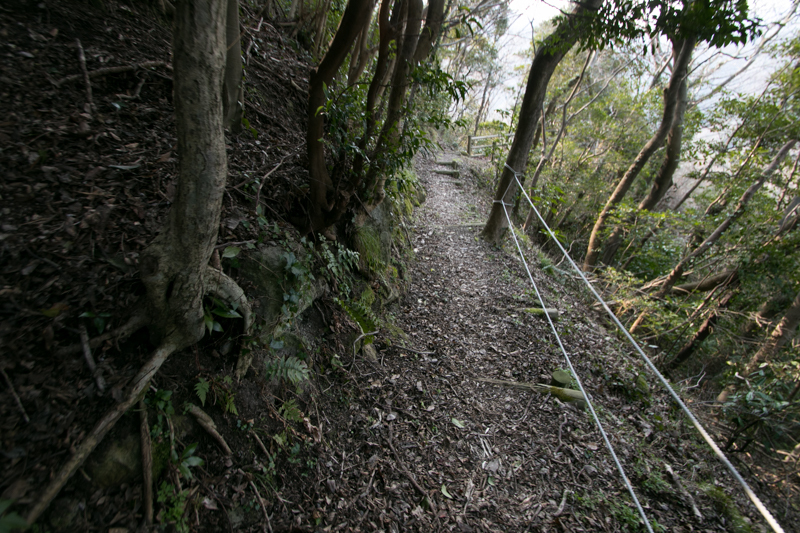 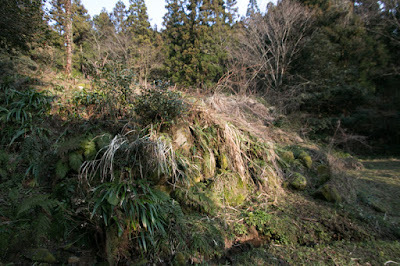 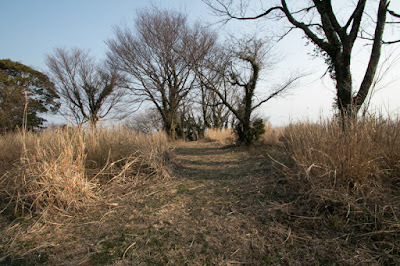 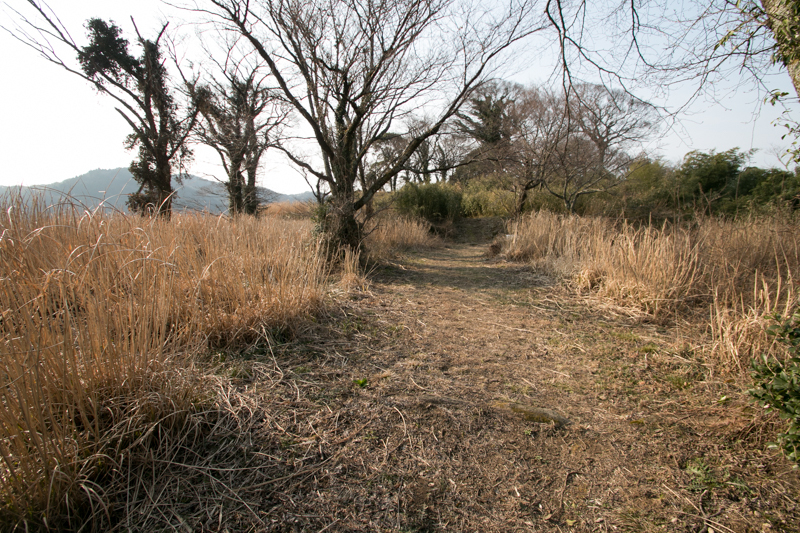 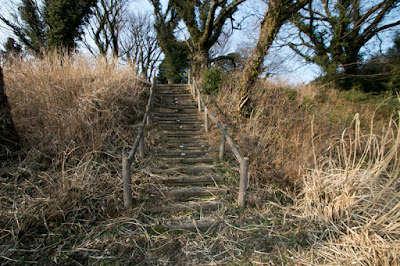 As Iwami Ginzan located at the border of Ouchi clan and Amago clan, both party also started struggle for this treasure mine. 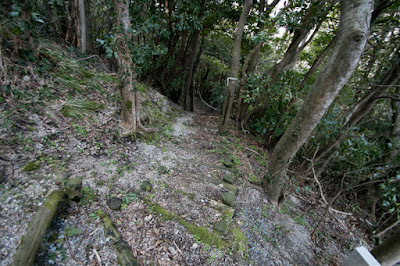 In 1531 Amago clan deprived Iwami Ginzan using Ogasawara clan which was the ally of Amago clan at Iwami province, but two years after Ouchi clan retrieved the mine. 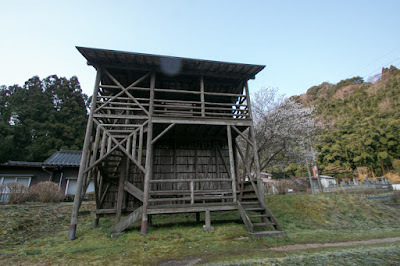 Ouchi clan kept the mine several years but Amago clan gained it at 1537 and held to 1540. Interestingly, when Amago clan held Iwami Ginzan, they apparently aggressively attacked surrounding nations and made large expedition. Although Amago clan seized the economic right at Mihonoseki port, the power of the lord was limited by strong local retainers. 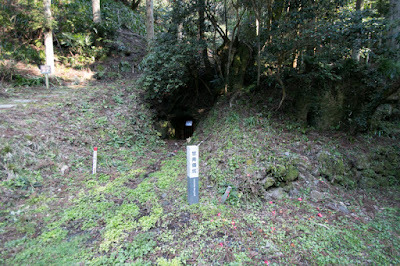 Silver from the mine was wholly the income of the Amago clan and became the source of military actions. In 1540 Amago army attacked Aki Koriyama castle (Hiroshima prefecture), the main base of Motonari Mouri (1497-1581) who turned from Amago clan to Ouchi clan. But Amago clan suffered severe defeat by Ouchi army and Mouri army, then in turn Ouchi army intruded into Izumo province and siege Gassan Toda castle, the main base of Amago clan. 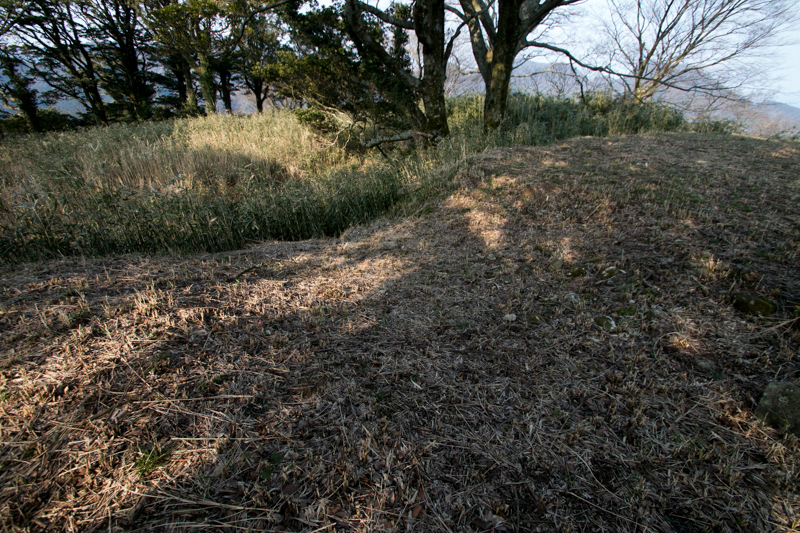 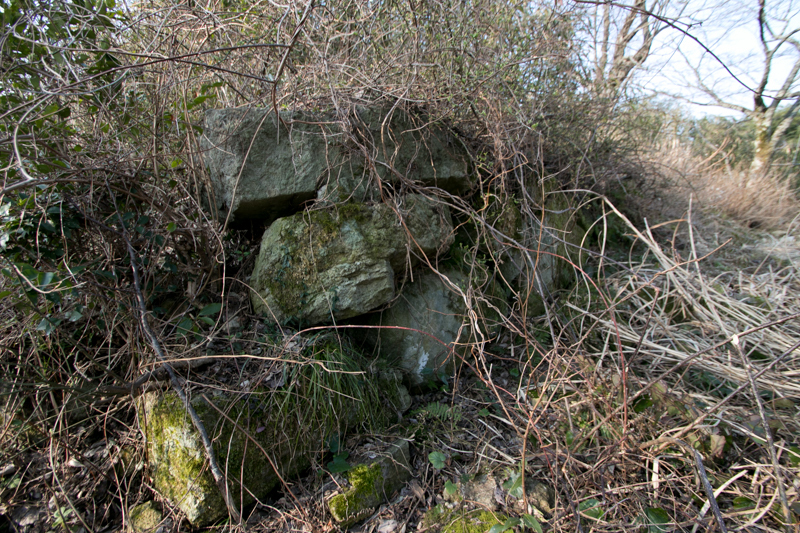 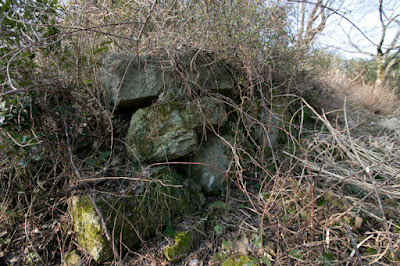 But Ouchi clan could not fall Gassan Toda castle for one year, and also experienced severe defeat by betrayal of local lords. 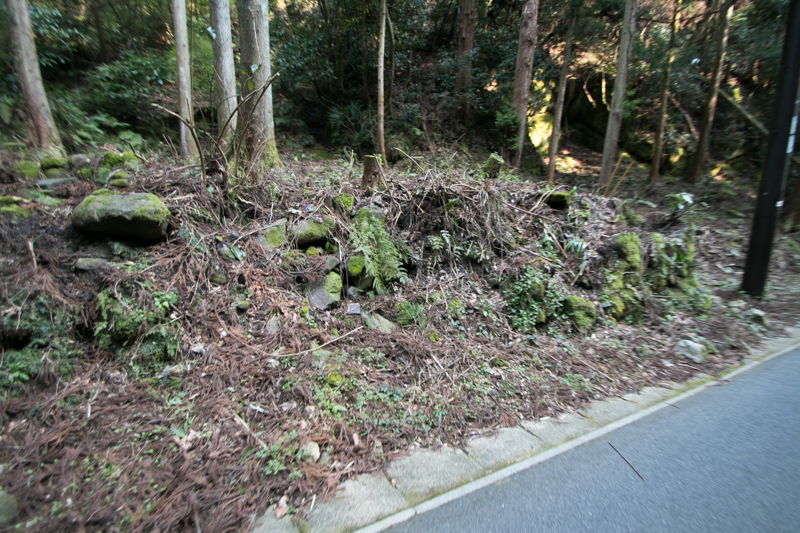 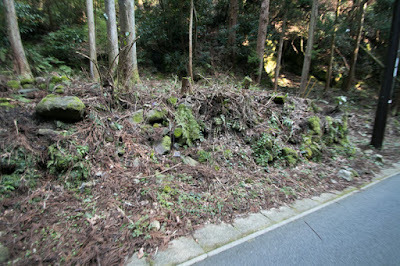 Amago clan regained its power again attacked lost Iwami Ginzan and recovered it in 1543. 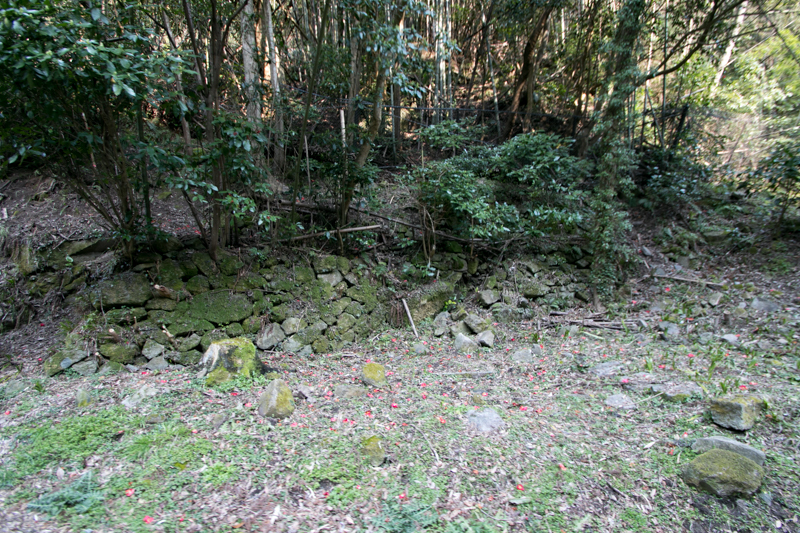 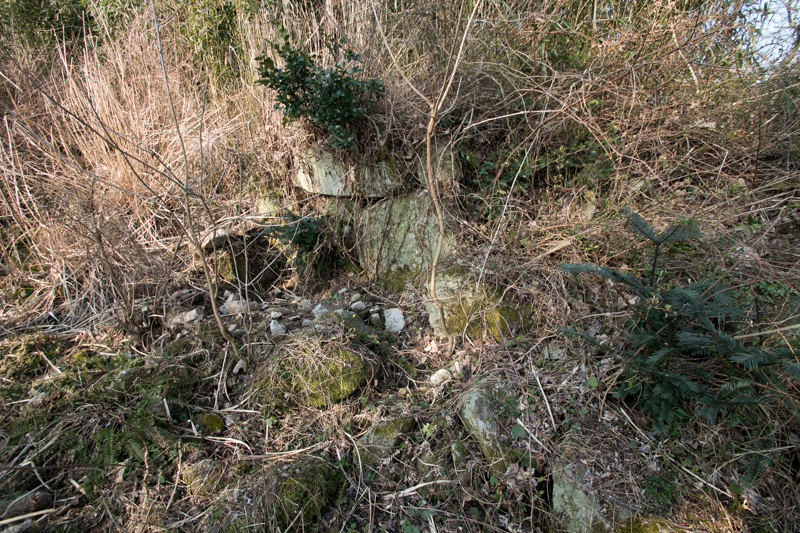 About 10 years after that Amago clan consistently kept the mine. 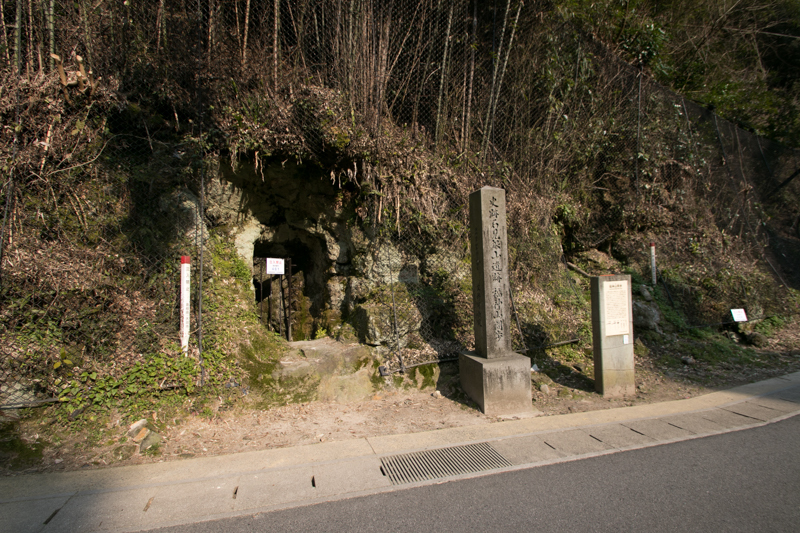 Being funded by silver mine, Haruhisa Amago (1514-1561), the grandson of Tsunehisa, aggressively attacked eastern provinces such as Mimasaka province or Bizen province (Okayama prefecture), but faced resistance of local lords and could not proceed well. 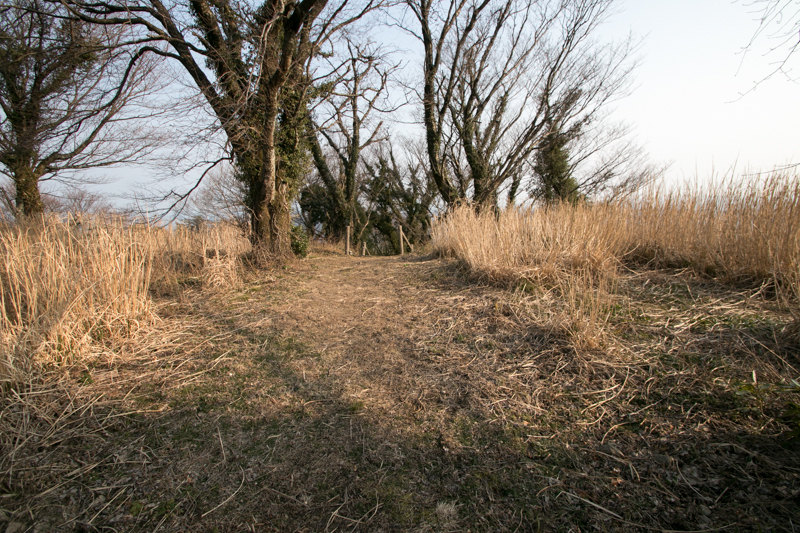 In the meantime, in 1551, Ouchi clan substantially ruined in the incident of Daineiji, a coup d'etat by their general Harukata Sue (1521-1555). 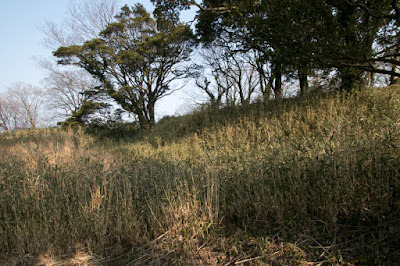 Harukata who seized the authority of Ouchi clan fought with Amago army at different places, and seized Iwami Ginzan in 1552. 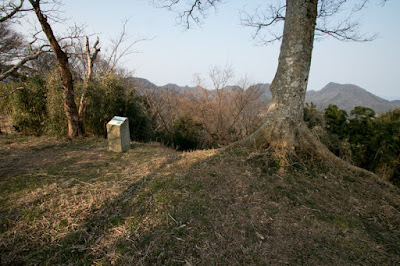 Harukata died in the battle of Itsukushima against Motonari Mouri in 1555, and Motonari captured the territory of Ouchi clan and Sue clan including Iwami silver mine. 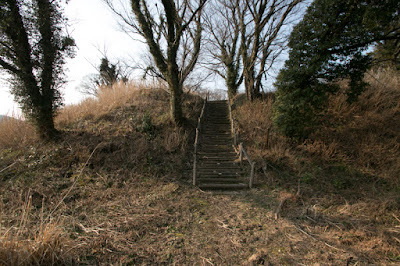 But looking at the disturbance of Ouchi clan and Mouri clan, Haruhisa Amago attacked Yamabuki castle to gain the mine again. Once being rejected its attack, but in 1558 Haruhisa broke Mouri army at Oshihara neat the mine and captured Yamabuki castle and silver mine. 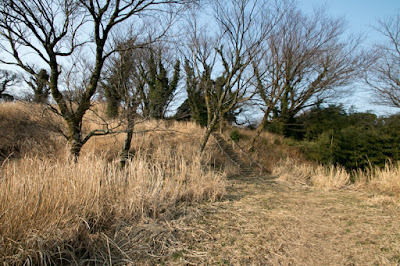 Haruhisa placed his brave general Tsunemitsu Honjo (1513-1562) as the commander of Yamabuki castle. 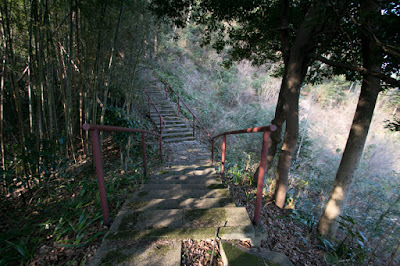 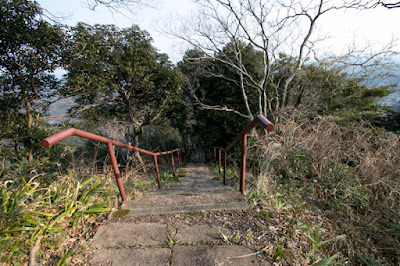 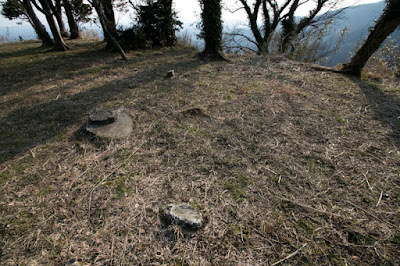 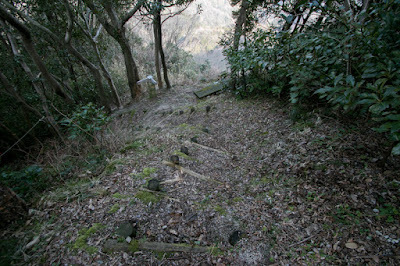 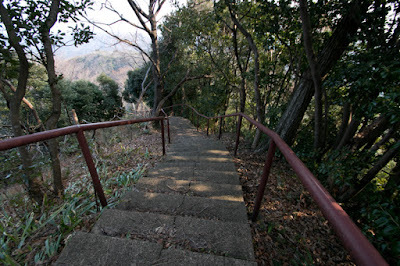 Expecting counter attack of Mouri clan, Amago clan strengthened Yamabuki castle as a secure fortress. 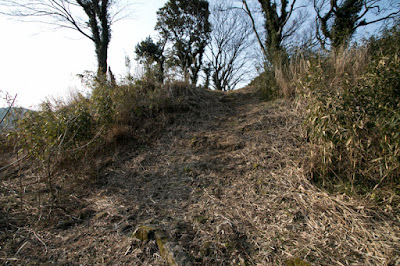 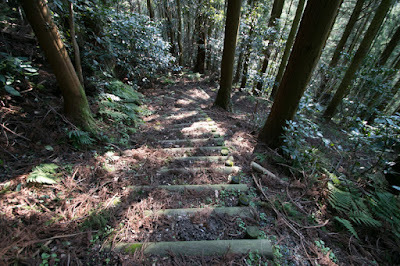 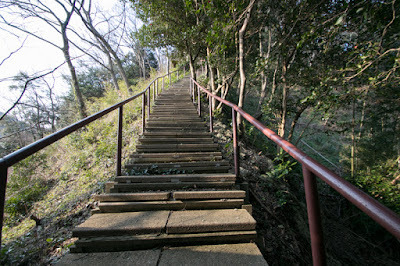 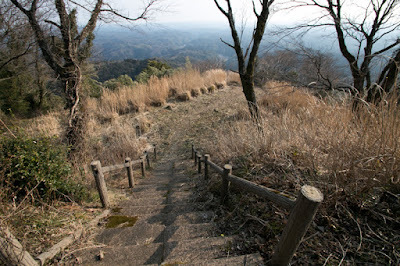 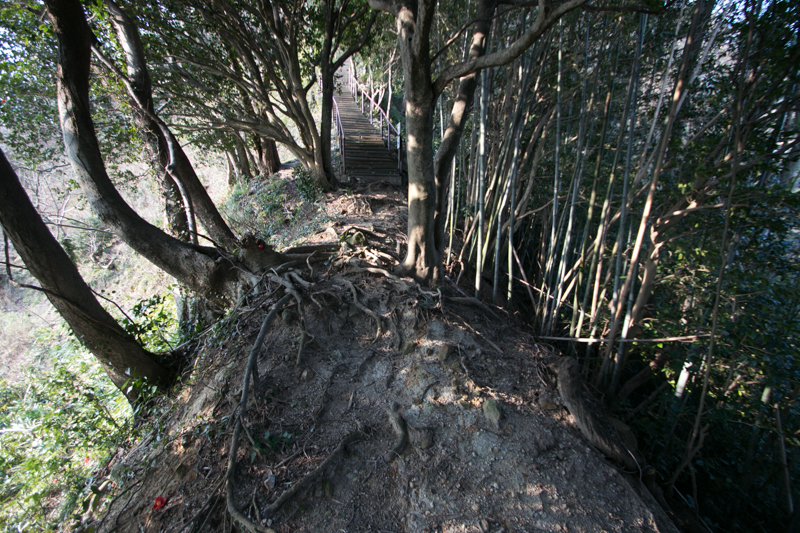 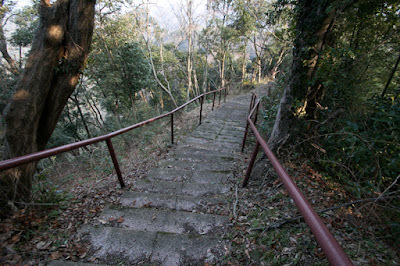 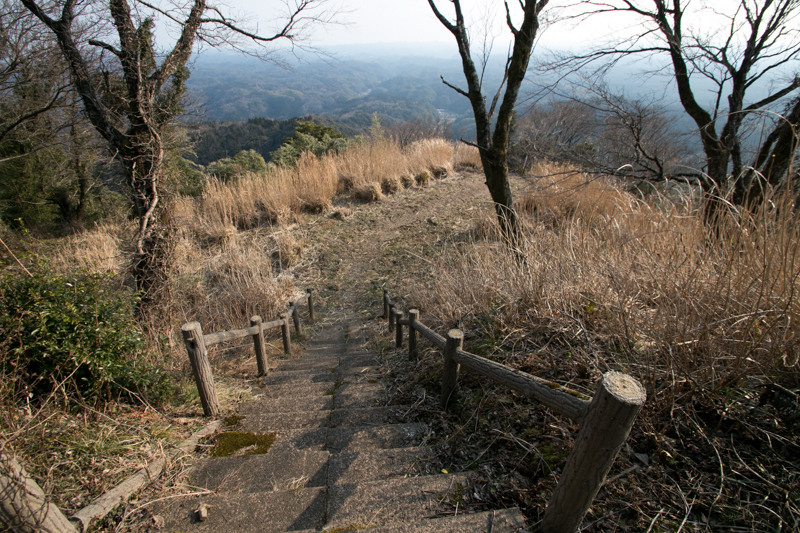 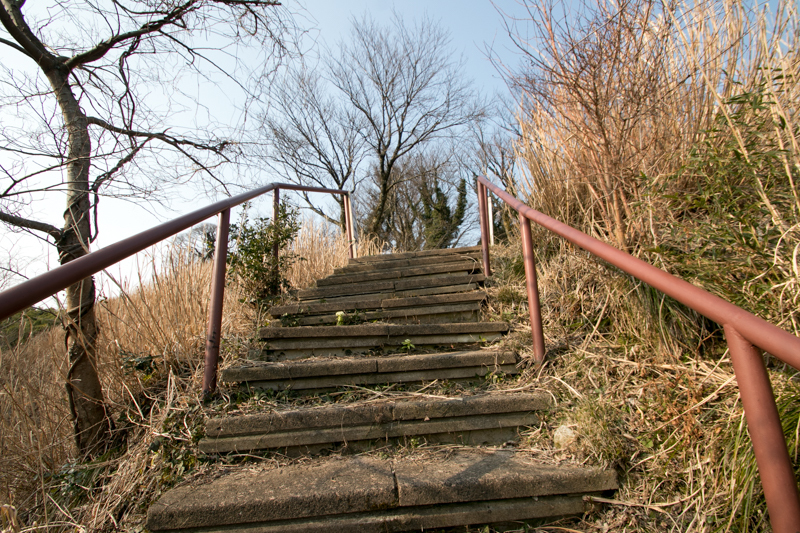 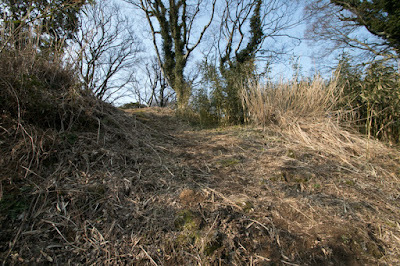 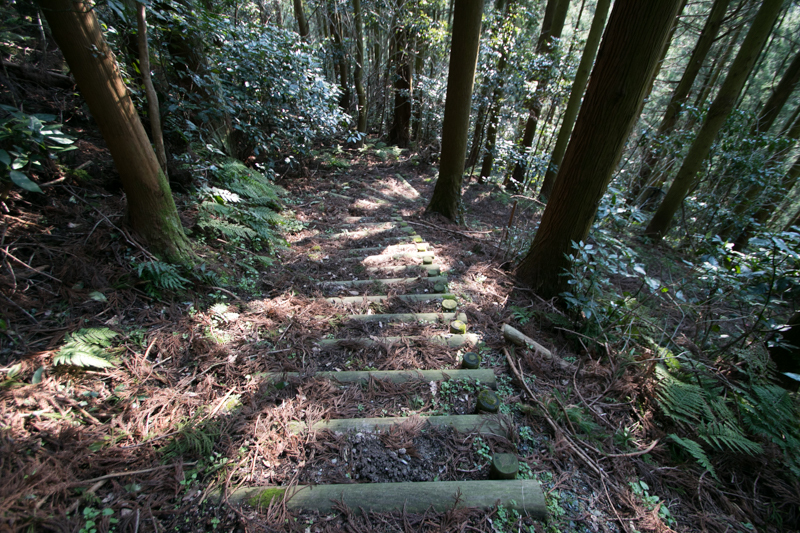 Yamabuki castle is built at a narrow and long peak of the mountain spreads north and southward. 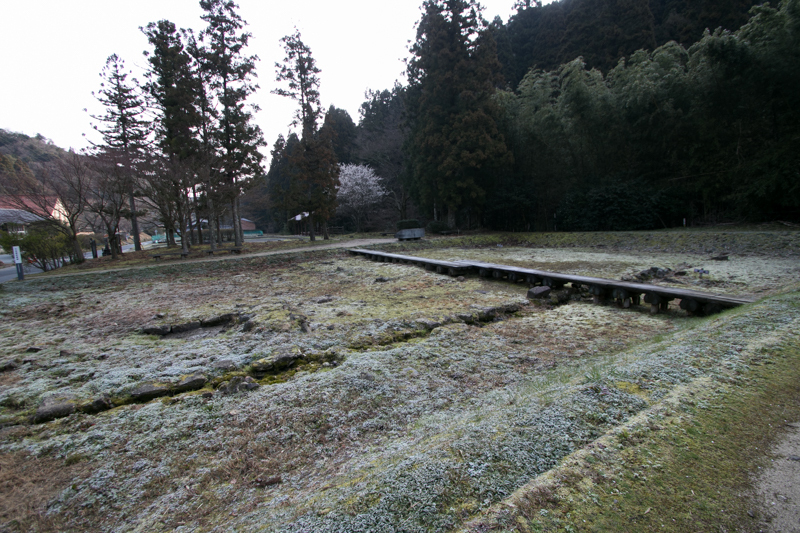 Central area is a rectangular shaped one of 60 meter long and 40 meter wide, has a turret basement at its north western corner. As northward of the castle is a front side looking down on mining town, and this side consist of several layer of flat area has a powerful view, partially equips stone wall at the northeastern sidewall of central area. On the other hand, southward of the castle is an expected attack point of the castle as it face at the end of the valley and height difference is small than front side. 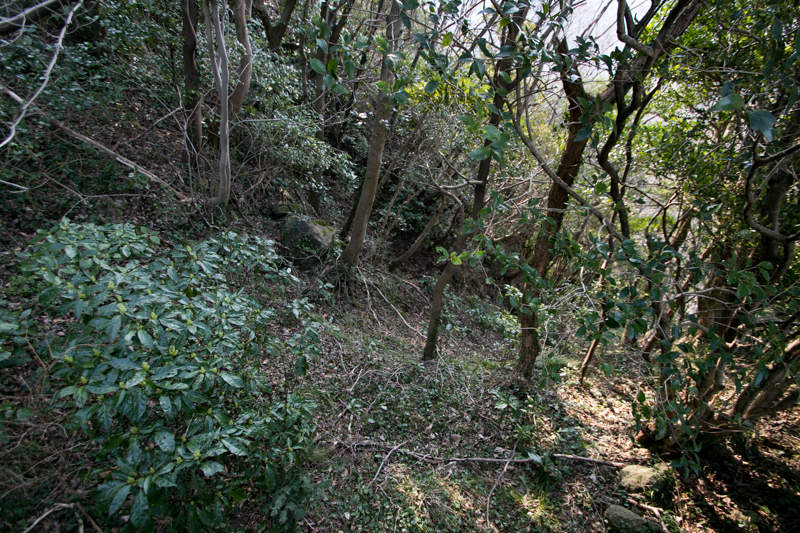 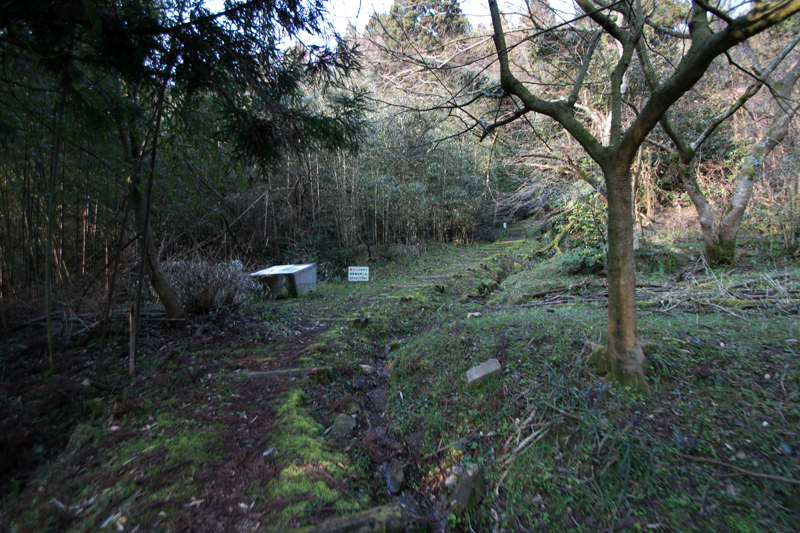 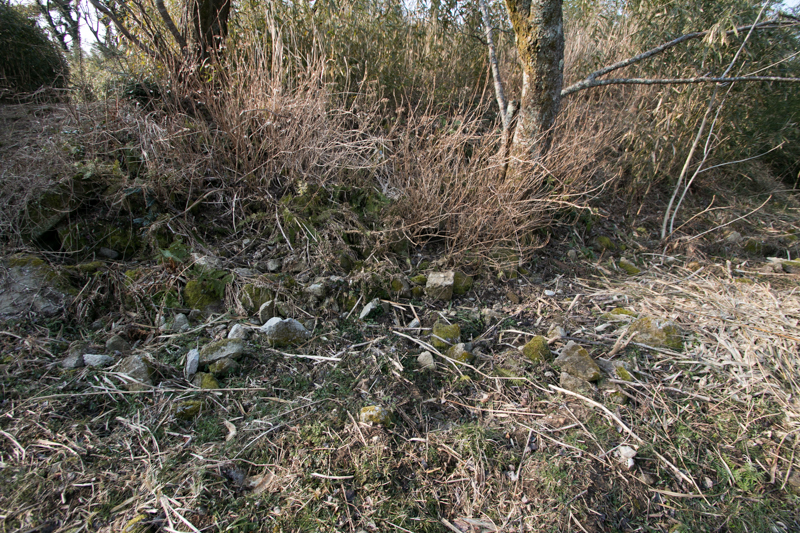 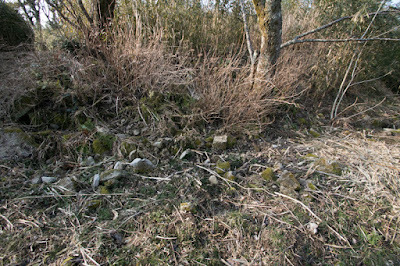 The backside of central area is protected by deep dry moat, and path to the central area is complexly folded and has a buffer area. 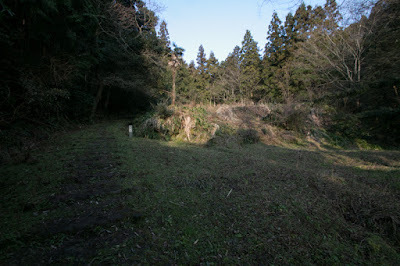 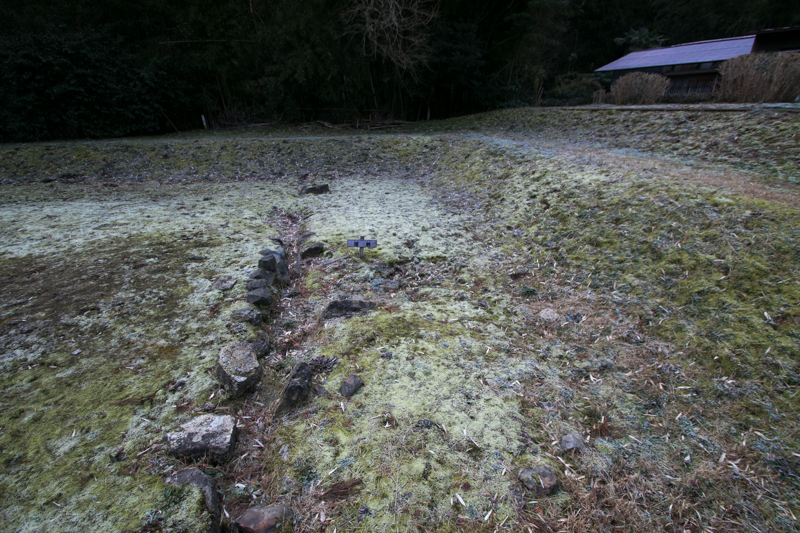 In addition to this, the slope of outer area is covered by numerous vertical dry moats to obstruct movement of the castle. 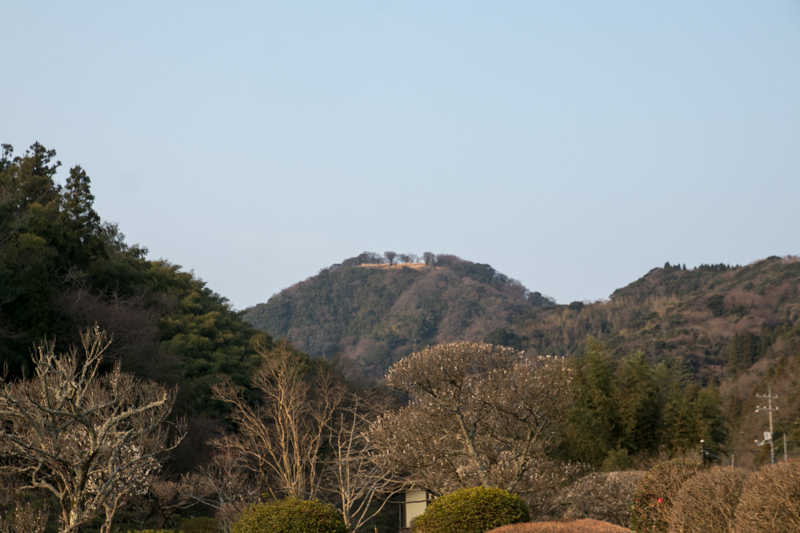 Total size of the castle is about 300 meter long and 50 meter wide, and it well shaped flat terraces shows continuous reforms of the castle considering its importance. 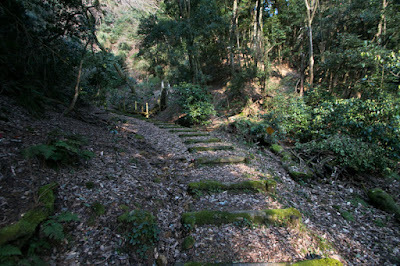 Motonari Mouri gradually expanded into Iwami province and ruined Ogasawara clan, then aimed at silver mine and Yamabuki castle. 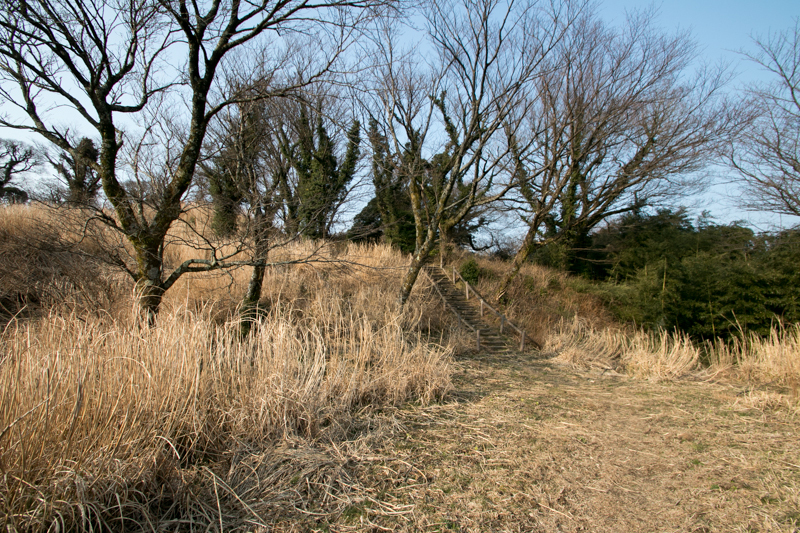 Tsunemitsu Honjo rejected fierce attack of Mouri clan with small force twice, but being isolated finally surrendered to Motonari. 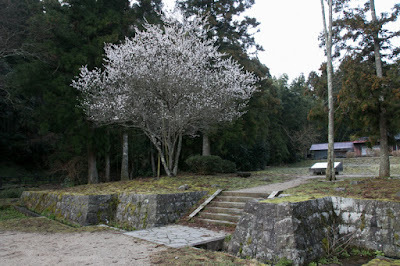 Tsunemitsu finally surrendered to Mouri clan. 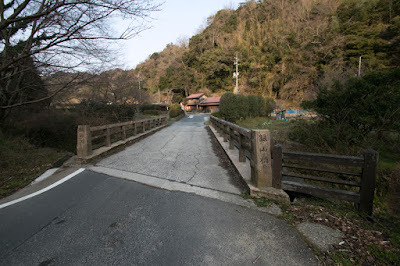 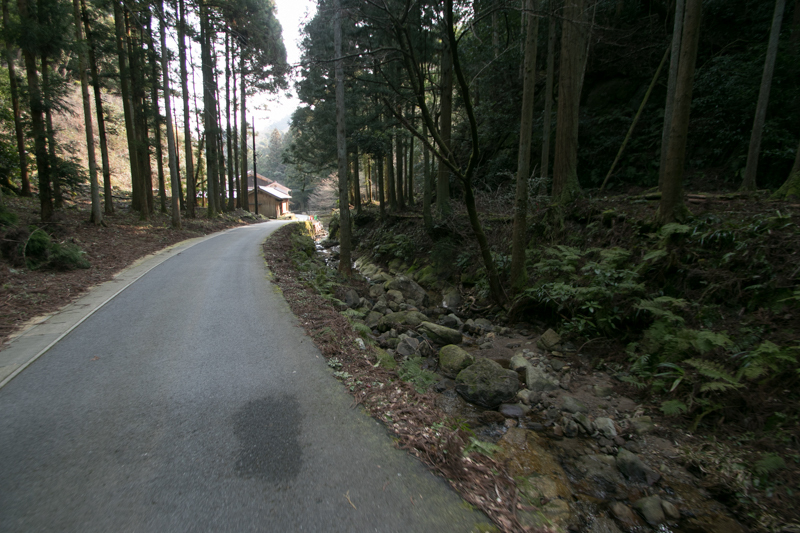 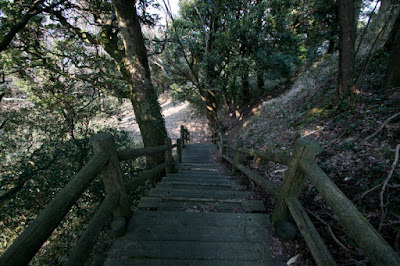 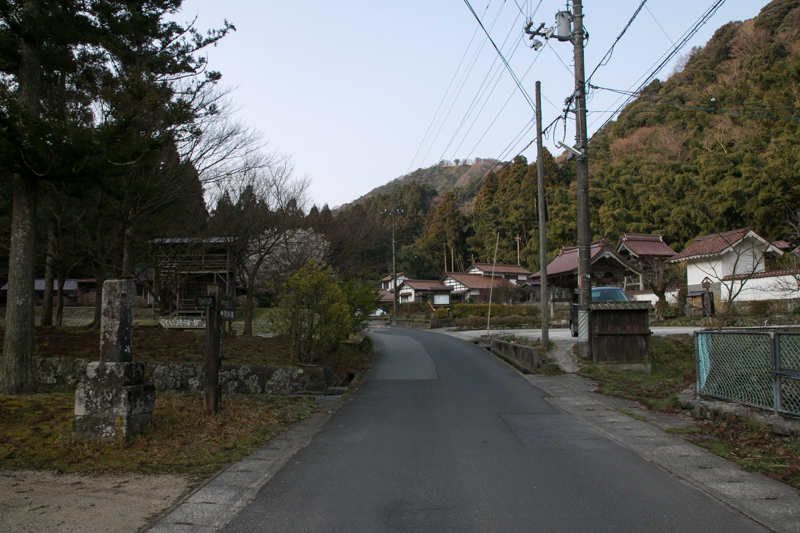 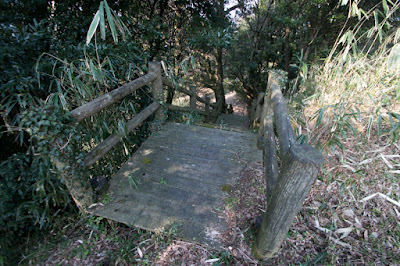 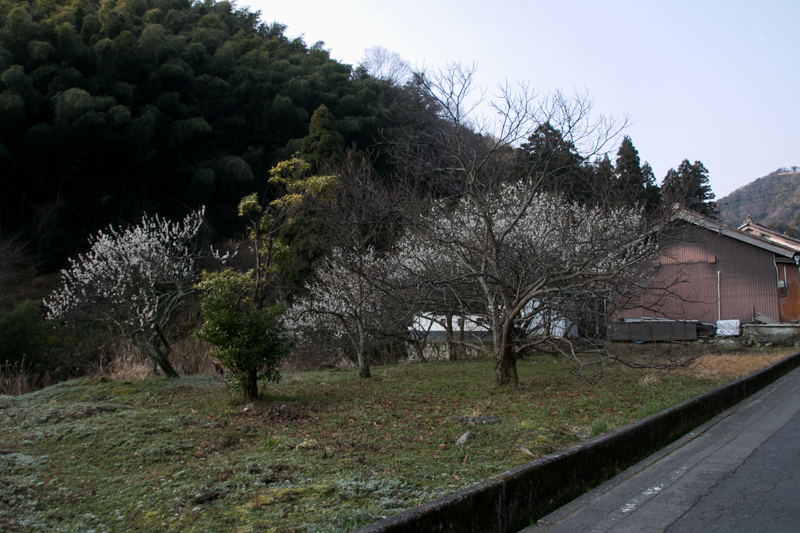 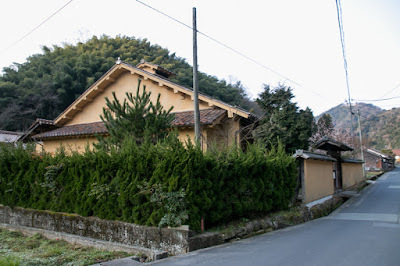 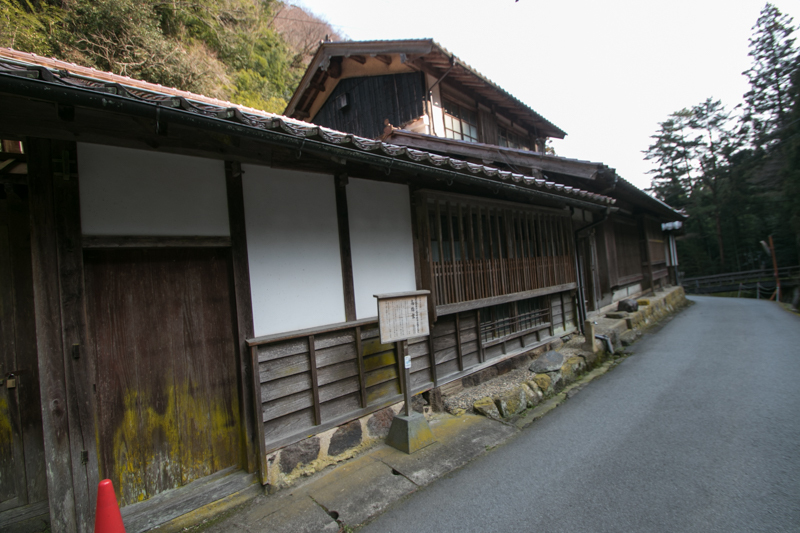 But Tsunemitsu was killed and Iwami Ginzan became the direct territory of Mouri clan in 1562. 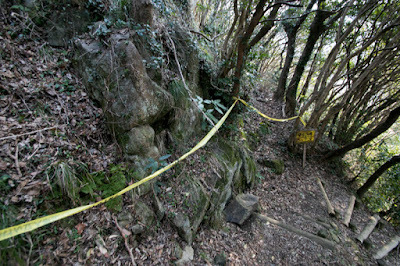 Amago clan which lost the source also fell three years later. 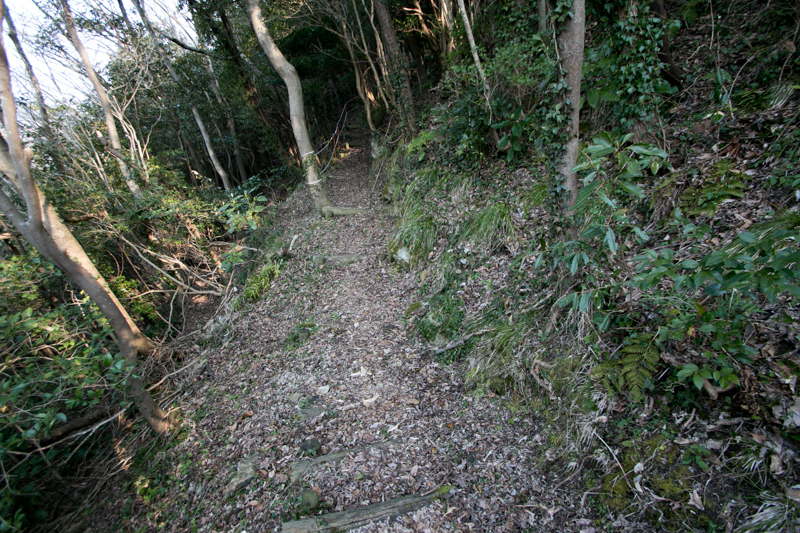 Mouri clan which captured Iwami Ginzan used the silver as their military funds. 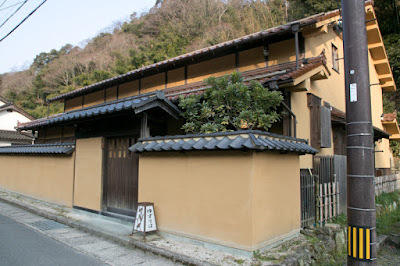 Mouri clan exported silvers at Yunotsu port, at the northwest of Iwami Ginzan, and bought guns and powders. Mouri clan built castles such as Unomaru castle or Kushiyama castle at Yunotsu port, along with Yahazu castle or Iwami castle built at the road connected Iwami Ginzan and Yunotsu port. 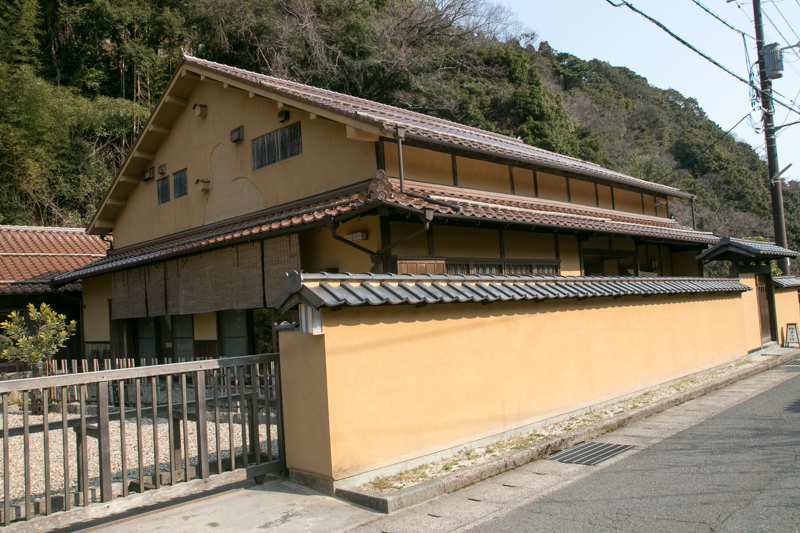 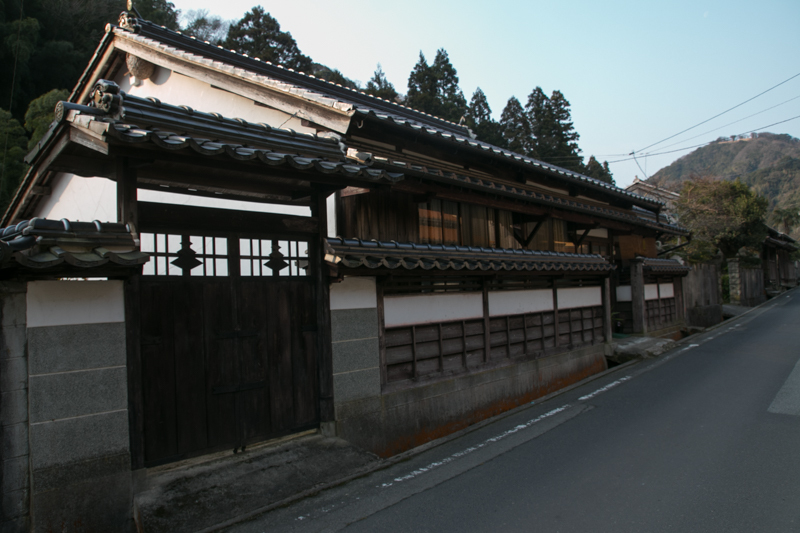 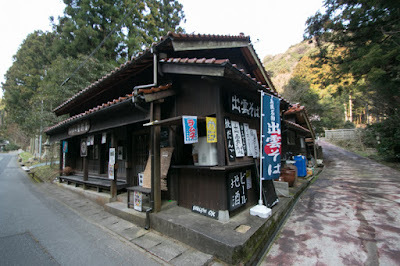 Since then, Iwami Ginzan supported the finance of Mouri clan over 30 years. When Mouri clan subordinated to central ruler Hideyoshi Toyotomi (1537-1598), the silver produced at silver mine was shared between Hideyoshi and Mouri clan, and supported the finance of Hideyoshi along with Ikuno Ginzan (Ikuno silver mine) at Tajima province (north part of Hyoto prefecture). 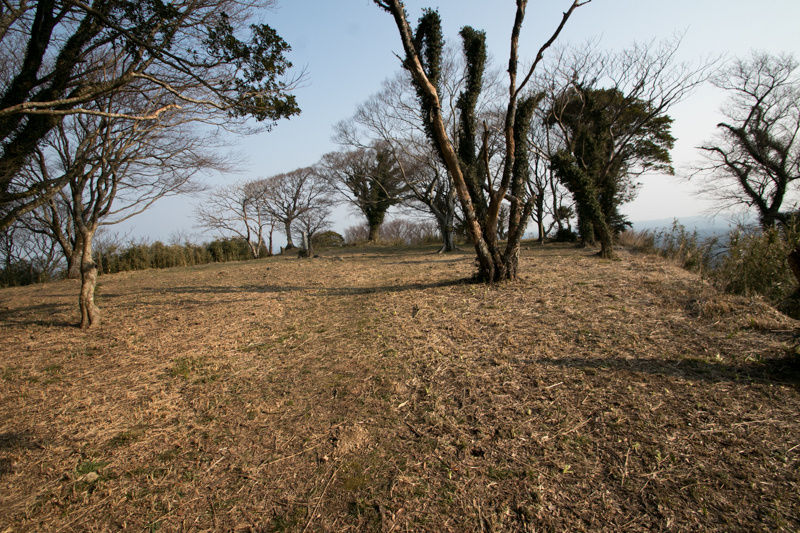 But as a result of the battle of Sekigahara occurred in 1600, Mouri clan lost most part of its territory including Iwami Ginzan. 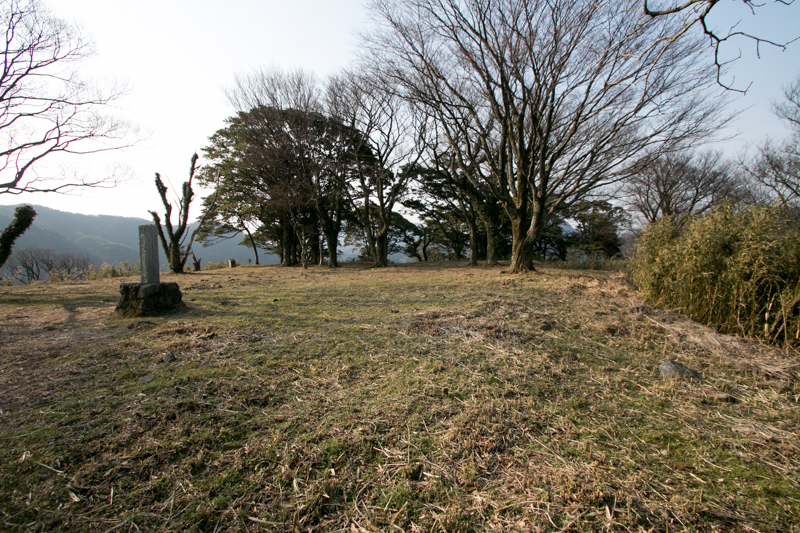 Ieyasu Tokugawa (1537-1614) who won at the battle of Sekigahara and established Edo Shogunate captured Iwami Ginzan and turned it to the direct territory of Shogunate. 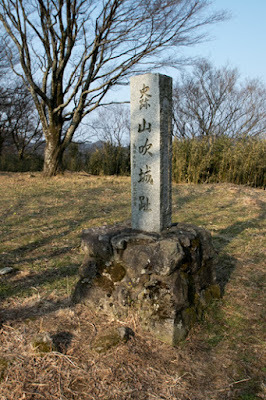 Shogunate appointed Choan Okubo (1545-1613), who had a superior technique at mining and increased gold production at many mines, as a representative of Iwami Ginzan. Around this time surface of the mountain was already excavated and silver only remains at deep layer. 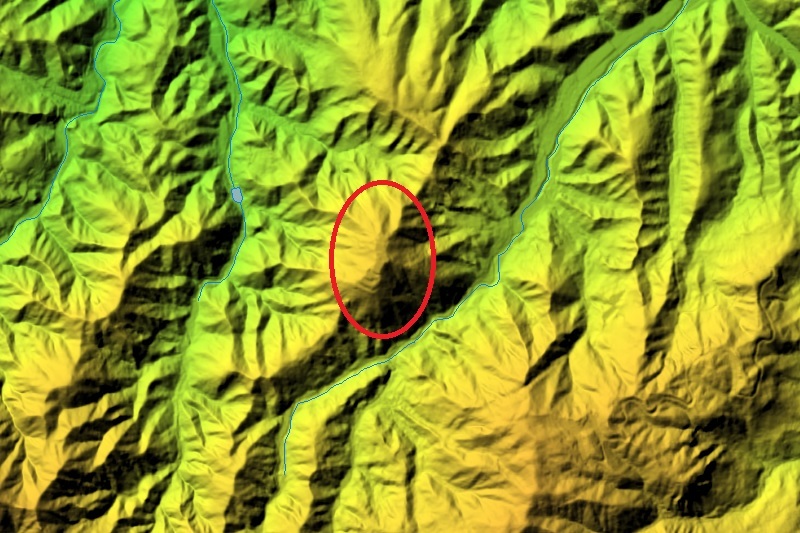 Choan insisted organizational construction of deep tunnels and temporally increased silver production. 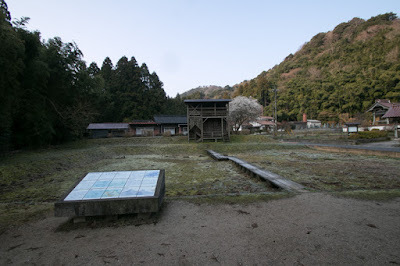 But later because of price down of silver brought by abundant Spanish silver produced at Potosi silver mine and depletion of silver mine, the glory days of Iwami Ginzan had finished. Yamabuki castle existed by the beginning of Edo era but was finally abolished then its function moved to the administrative office at the downside of the valley. Now all building was lost but terraces of the castle still keeps its shape on the mountain. 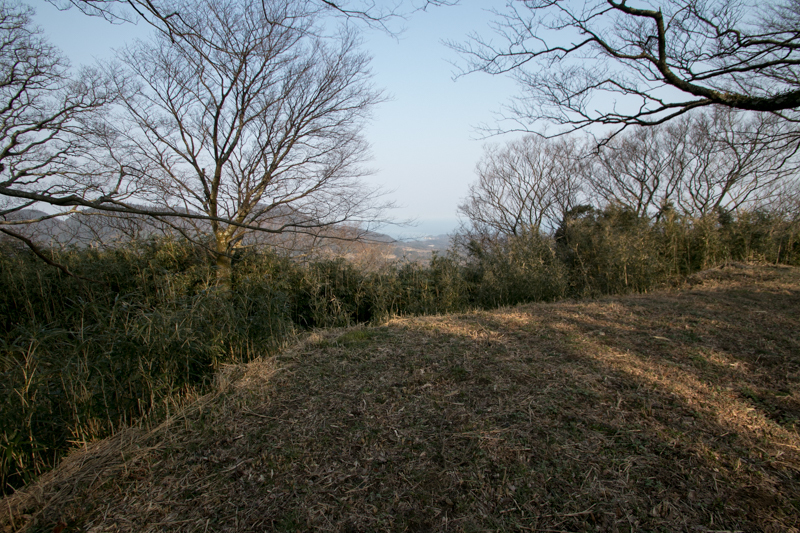 As it is built over a straight sheer cliff, shape of hilltop area is clearly seen from hillside valley. 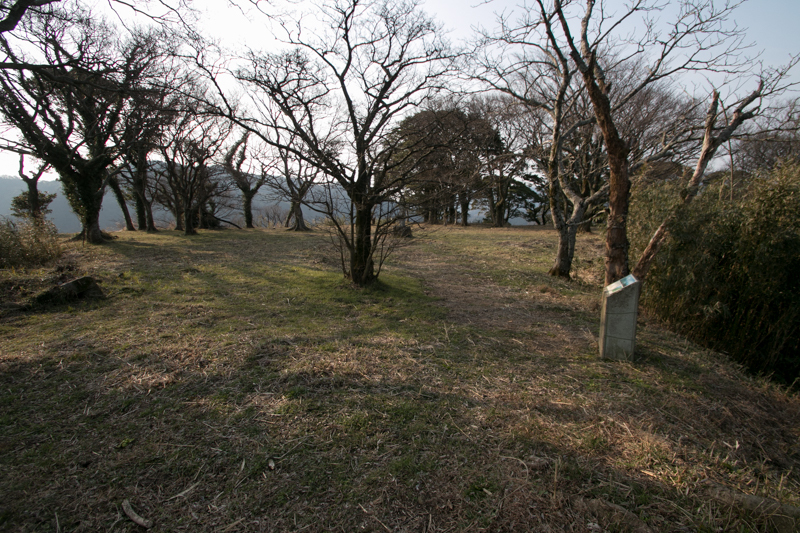 Colored flags of stationed army at the castle might work as a name card of holder, to show the ownership of the silver mine. 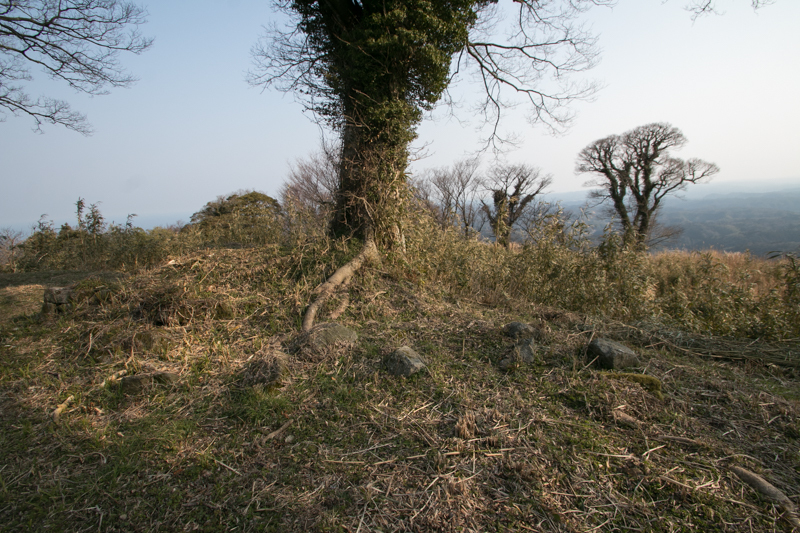 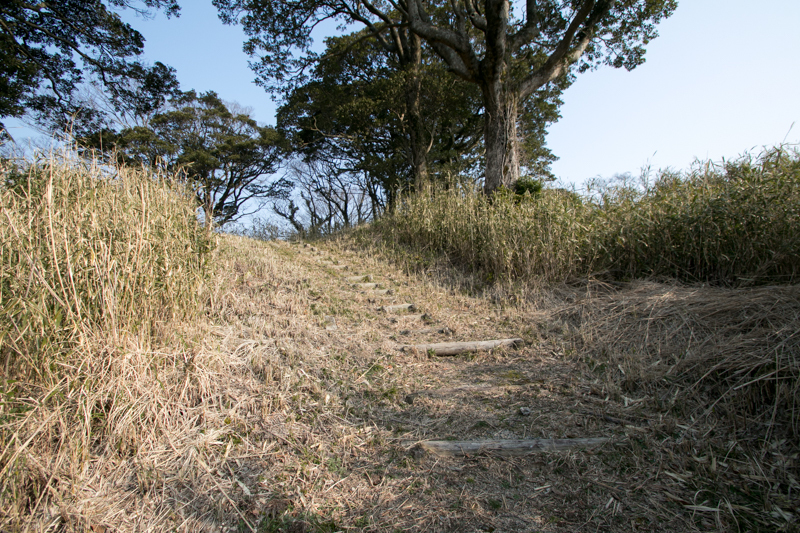 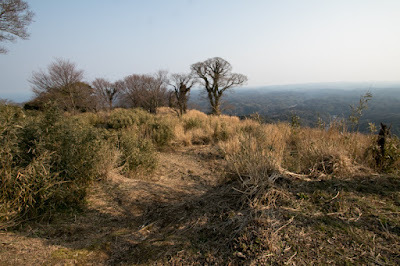 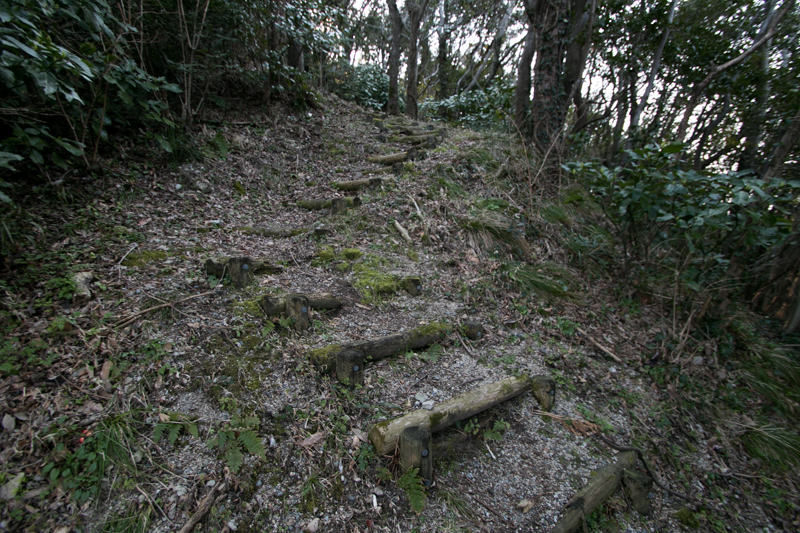 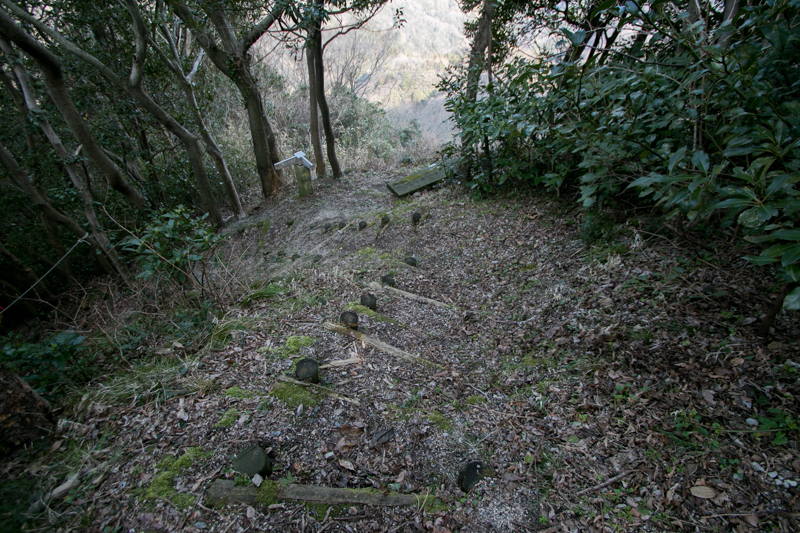 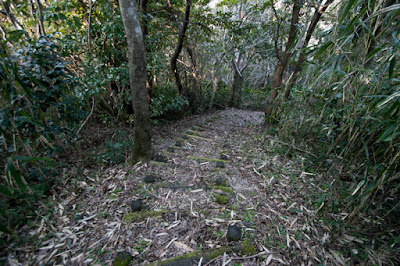 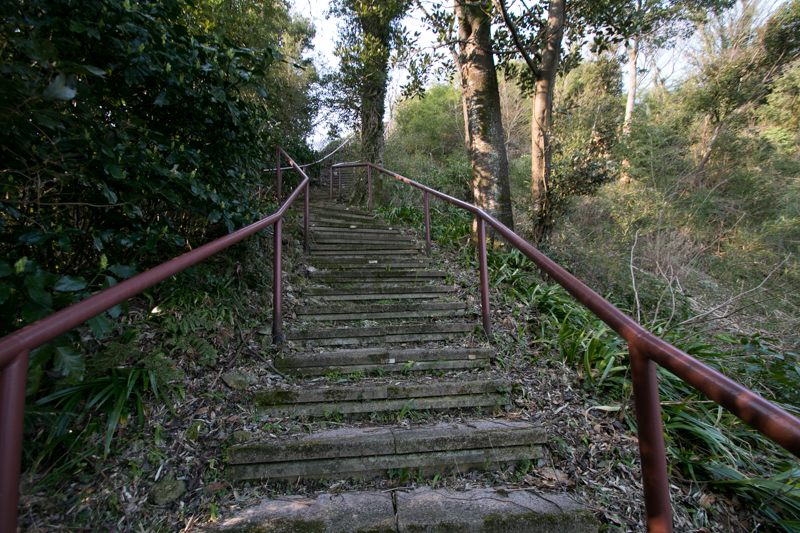 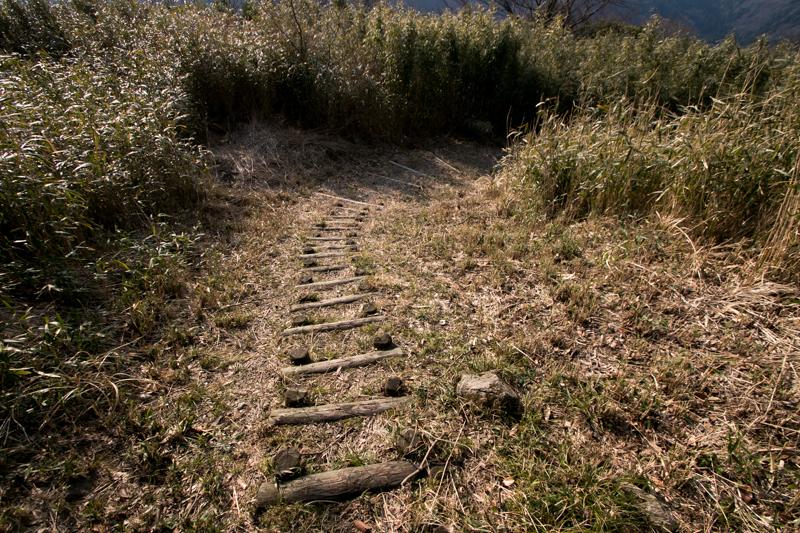 In 2007, Iwami Ginzan including Yamabuki castle was nominated as World Heritage, as a valuable ruin to show the communication of Eastern world and western world, and whole process of mining considering nature. Ruin of mines at upper half of the valley, traditional style houses at mining town at downer half, transportation roads and shipment port forms streamline of silver mining, which flows from silent mountain of Iwami province to the world. Bus from JR West Sanin-Honsen line Ota station to Iwami Ginzan World Heritage center. 60 minutes drive from Hamada Jidoshado Expressway Oasa interchange via Route 261, Prefecture Road 40 and Prefecture Road 31 to Iwami Ginzan World Heritage center. 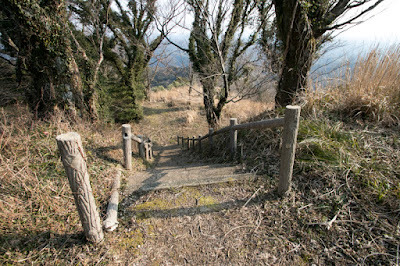 40 minutes walk from World Heritage center to hillside entrance and another 30 minutes walk to hilltop castle.